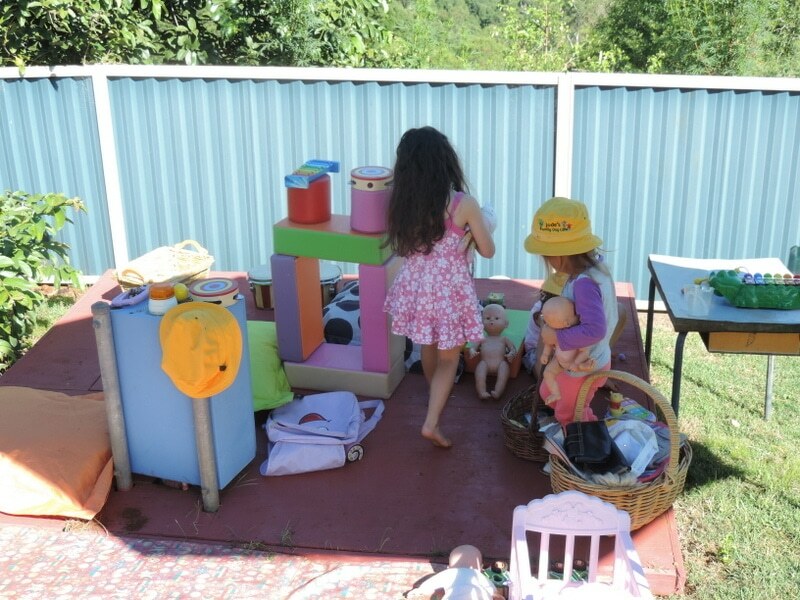 Setting up activities and spaces for young children to encourage and invite dramatic play with prop boxes doesn’t need to be expensive, complicated or time consuming. 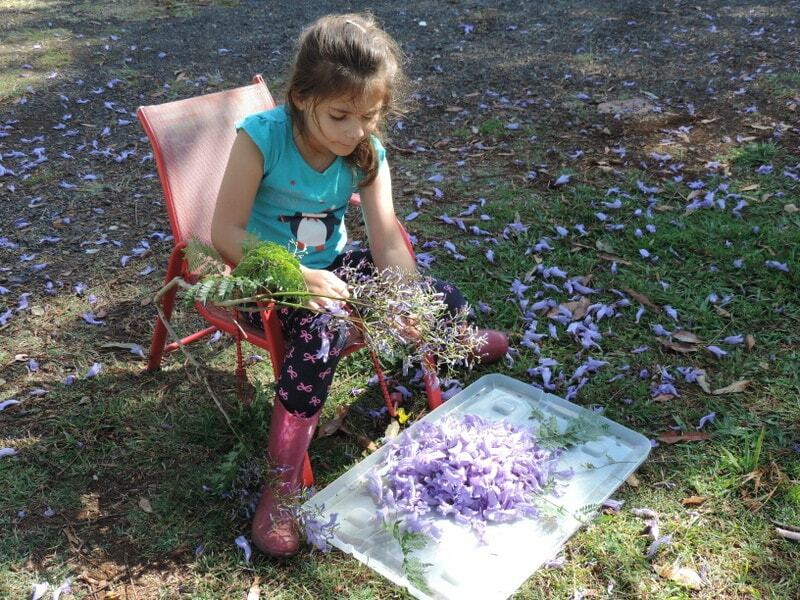 Simple works best when it comes to playful learning opportunities! 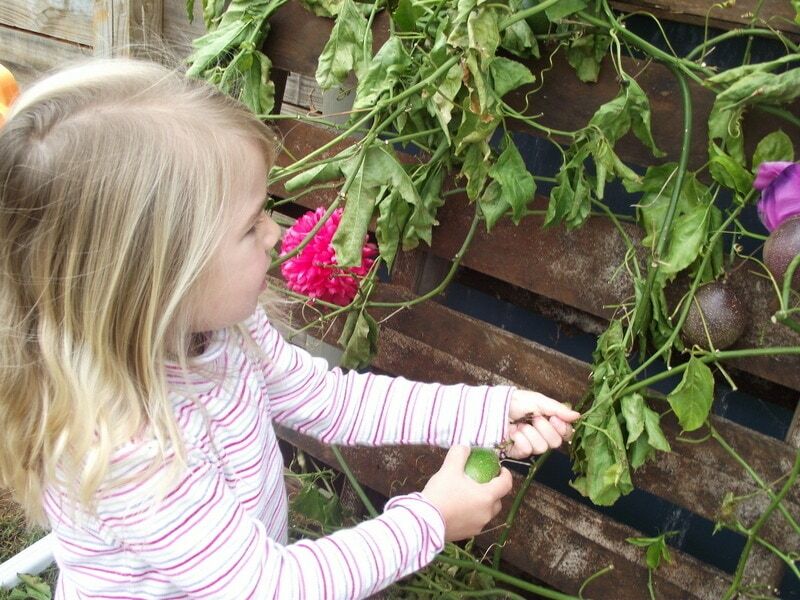 As educators, parents and carers we sometimes need to think outside the box a little to keep things from getting boring (and the children engaged and happy…which ultimately leads to us being happy too!) But working in that way doesn’t mean you need expensive materials or pages of specific plans to follow. 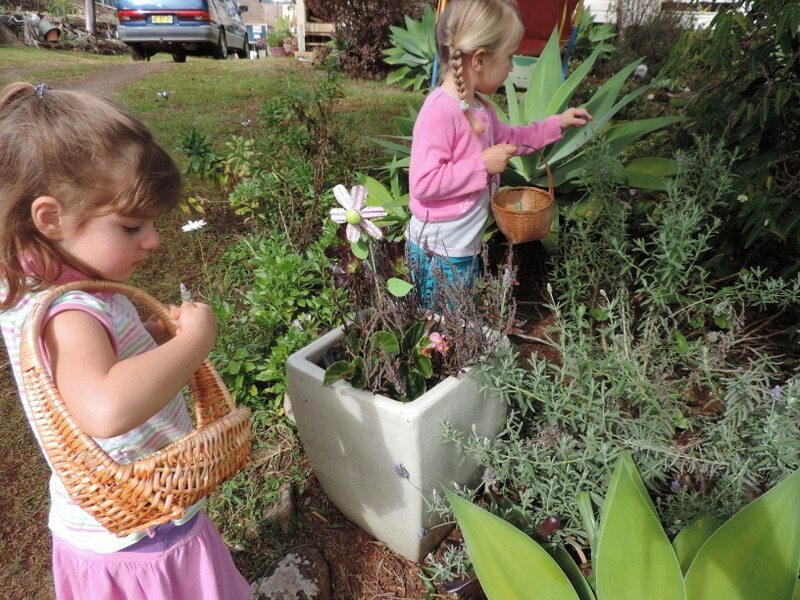 Instead, you can concentrate on how you design and setup your environments and resources (indoors and outdoors) to ultimately inspire the children to lead their own dramatic play. You will immediately find this takes a whole lot of pressure off you to constantly be coming up with new ideas to add to plans each week. It’s time to think beyond just setting up the dress ups, play kitchen and dolly beds in the corner of the room. 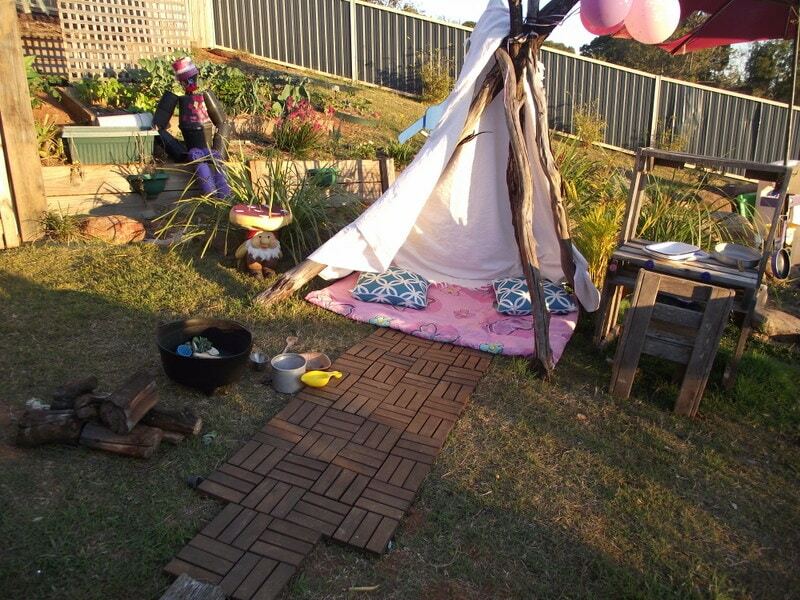 Don’t get me wrong…I think the traditional ‘home corner’ is still a valuable learning space for young children and I’m not telling you to go dismantle it – it provides a wonderful starting point to create opportunities for dramatic play, but if we think about this space being our ‘stage’ or ‘launchpad’ for the children to build upon further using their own ideas then we begin to truly support and extend the children’s learning journey. 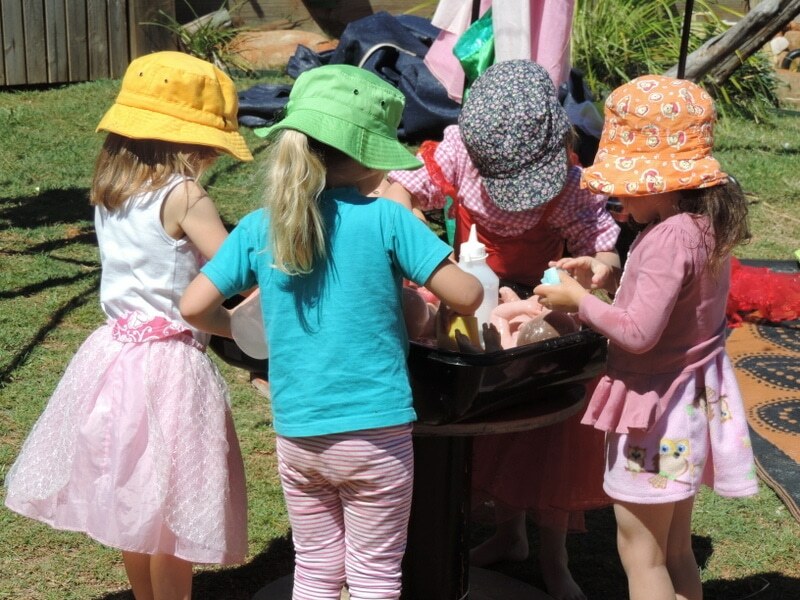 Our aim is to enhance the children’s play with additional materials, props and experiences rather than rigidly stick to a theme and area.One of the easiest ways to do this is with dramatic play prop boxes based on simple themes or children’s interests depending on the goal or learning experiences you have in mind. 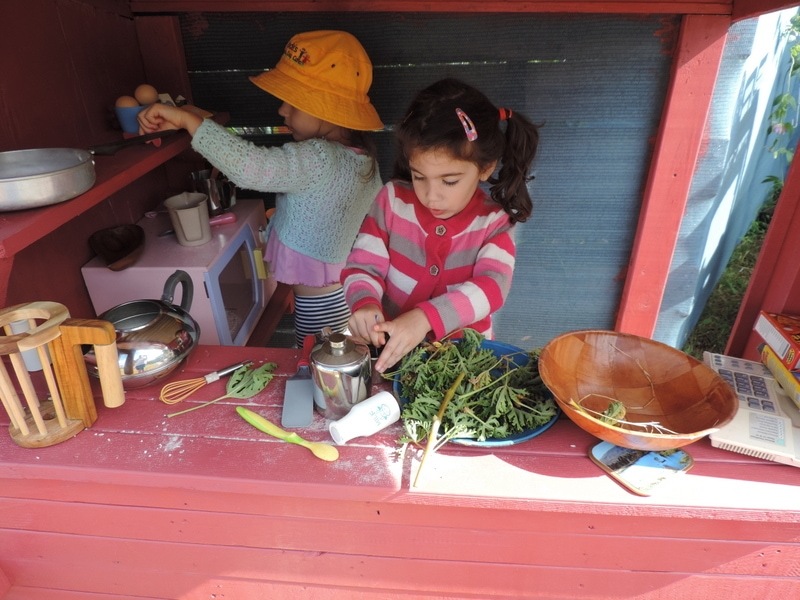 Why focus on dramatic play spaces? 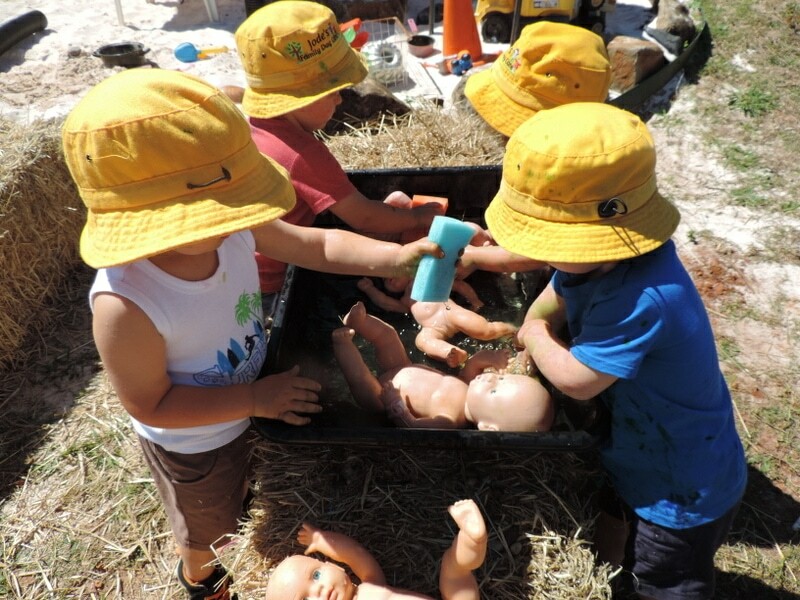 We know that dramatic play has many benefits for children and also provides numerous learning outcomes (I could list them but that would be a whole other blog post!). 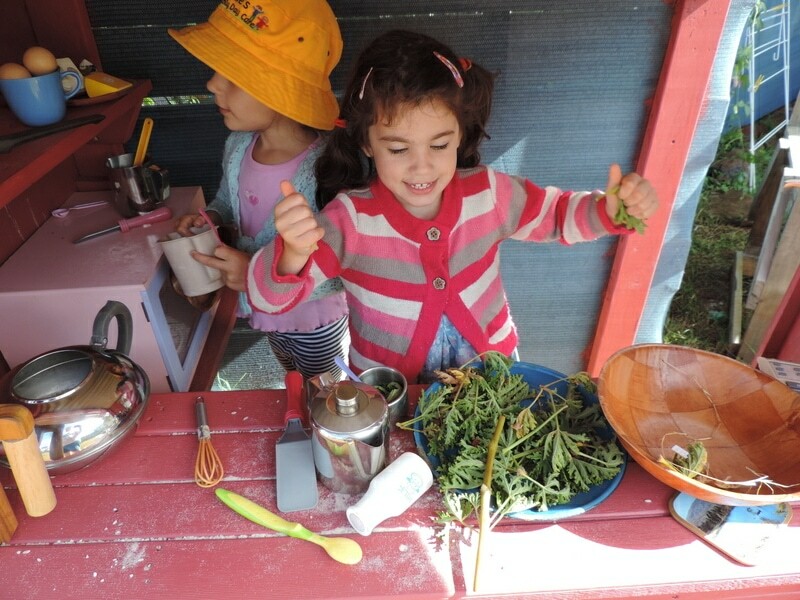 It helps children to make sense of the world around them, use their imagination to explore real life events, increase their vocabulary, engage with different cultural materials, negotiate roles, make decisions and so much more! I think you will agree it’s definitely worth putting in a little effort to ‘set the stage’ (this could include your entire learning environment both indoors and out!) 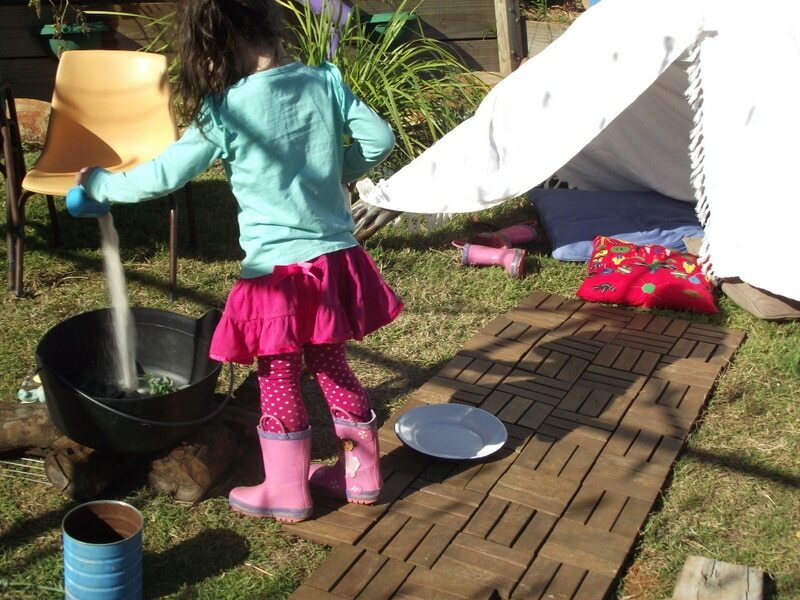 Don’t limit yourself or the children to one corner of the room – use the ideas and strategies below to inspire and enhance open ended dramatic play anywhere throughout the learning spaces. 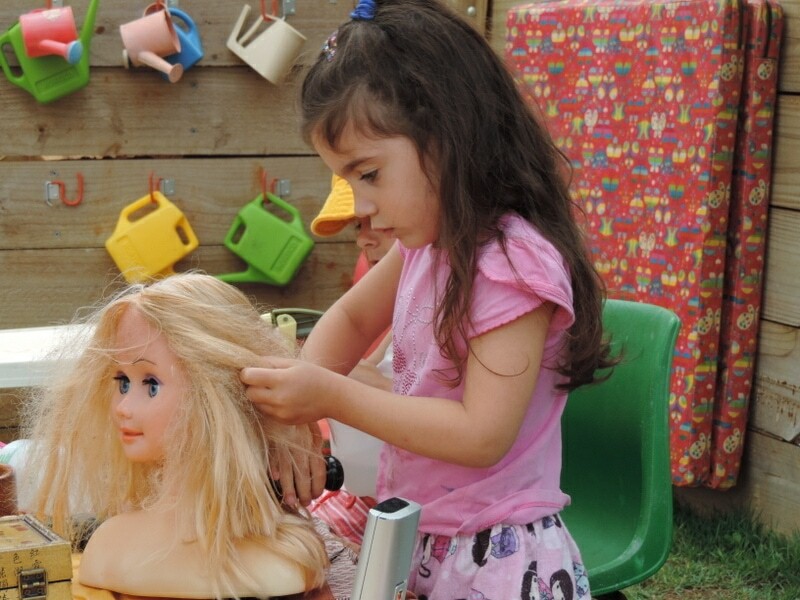 Tips to setup planned dramatic play spaces. 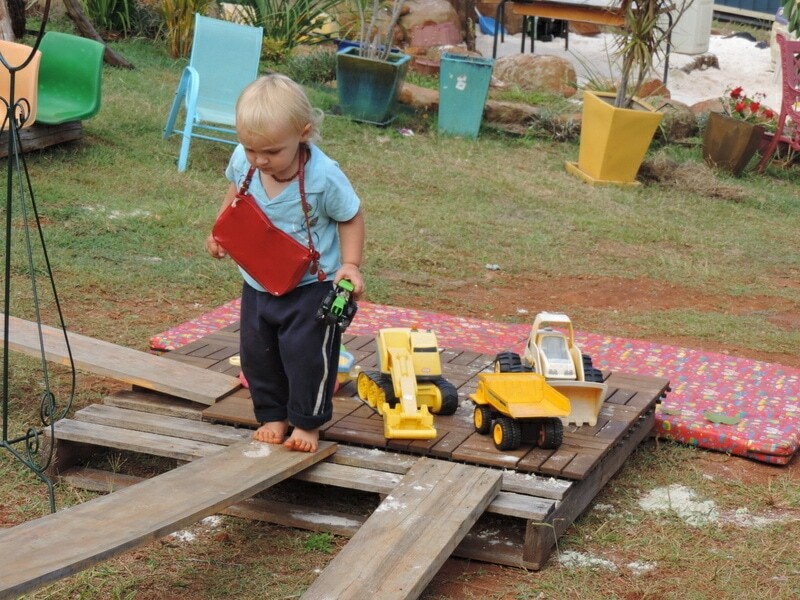 Include a range of open ended materials as well as real tools for children to access and use in different ways as they need. 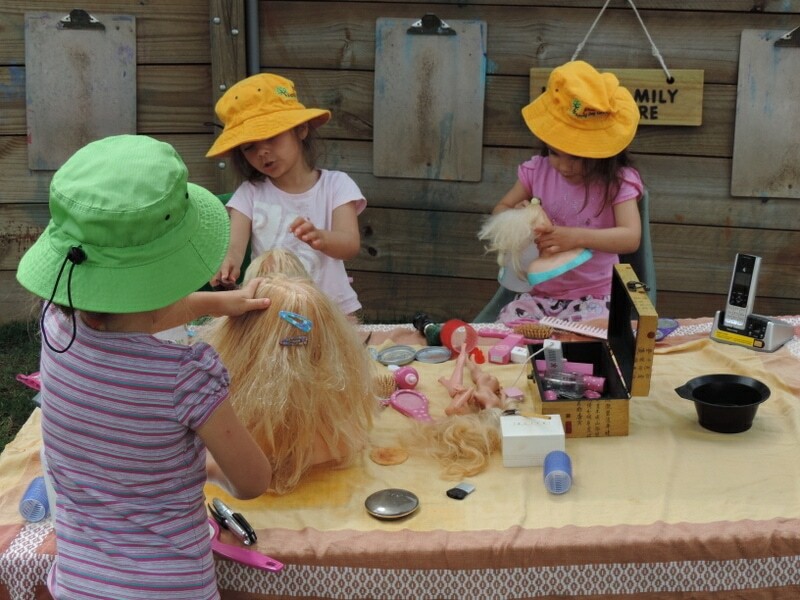 Build a collection of dress-ups that reflect different roles, genders and cultures. 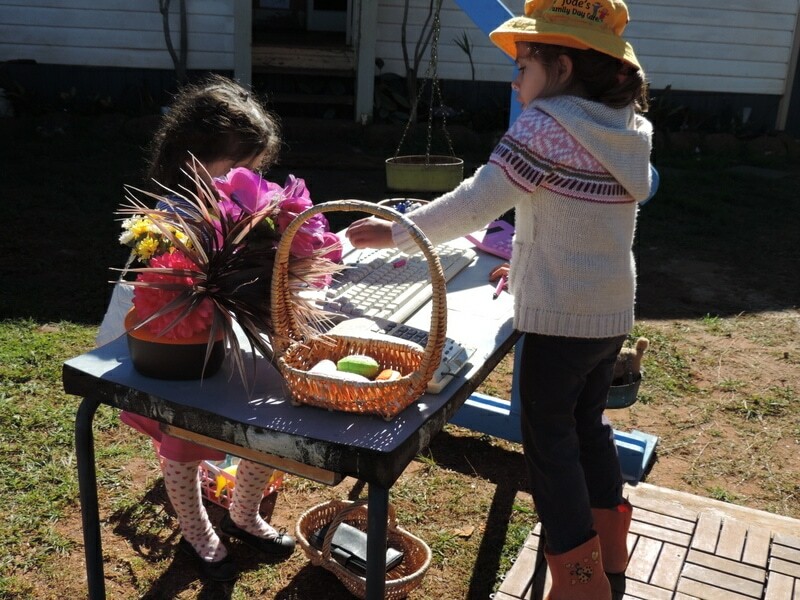 I like to also include a basket of material pieces, small tablecloths, sheer curtains and a few pegs so children can choose to create their own outfits or decorate and furnish their space. 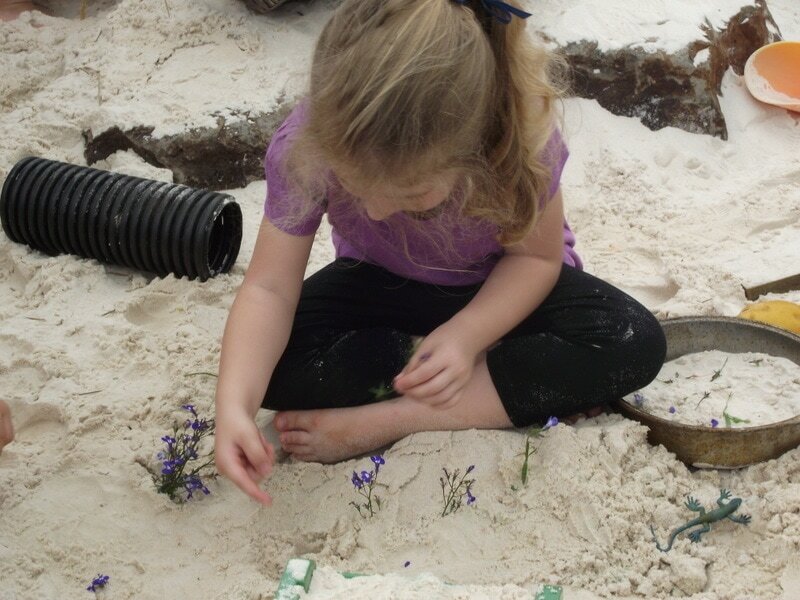 Try to find ways to incorporate and involve the children when setting up new spaces. Is there a community role they are particularly interested in right now like a vet? 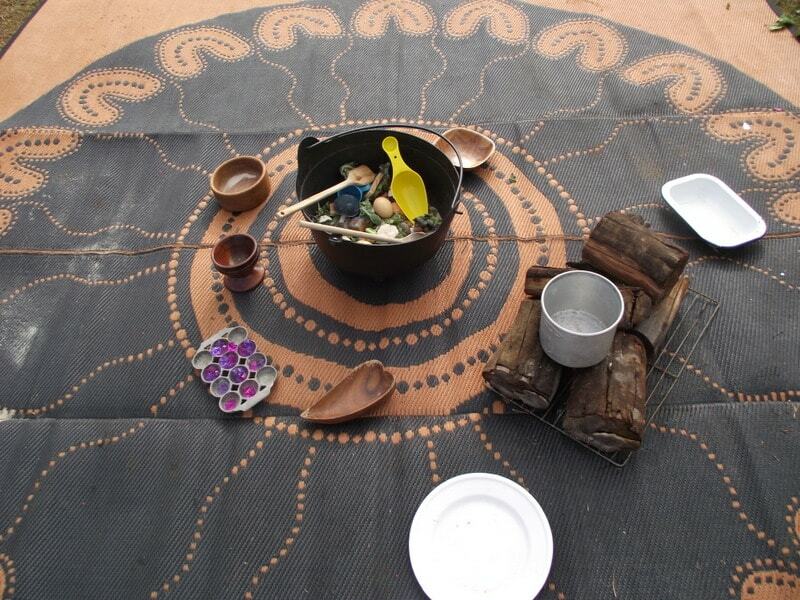 Some real materials a family has brought in to help share little of their child’s culture? An interest they want to explore? Is there scope for them to rearrange and use the props you have added to the space in different ways? Don’t let budget be an excuse to just provide the ‘traditional dramatic play basics’ week after week. 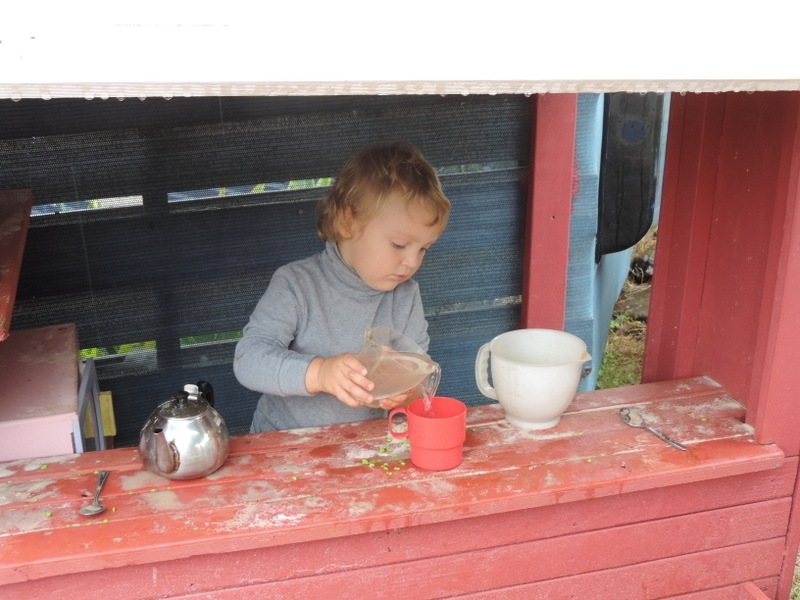 You don’t need a fancy wooden kids kitchen with matching sink, fridge and microwave. 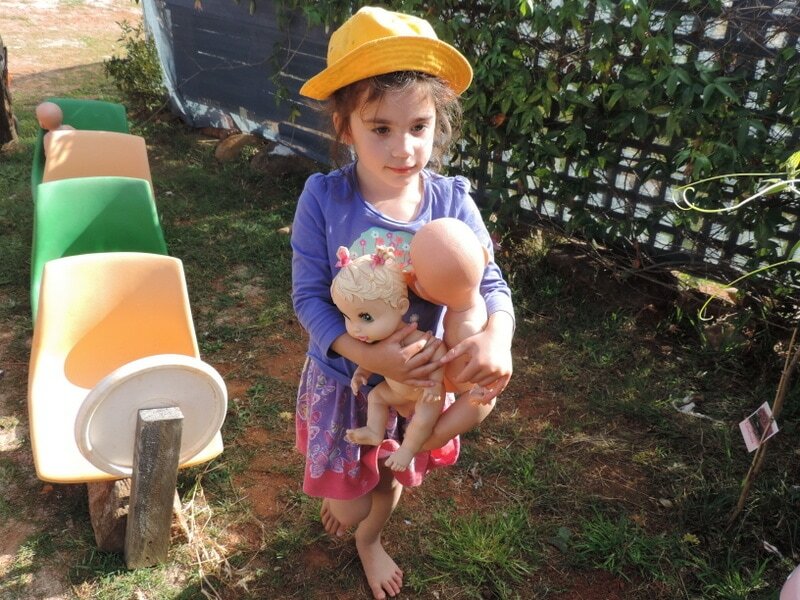 Why not visit your local op shop (thrift shop) to source real materials or ask your families to bring something from home that they no longer use. 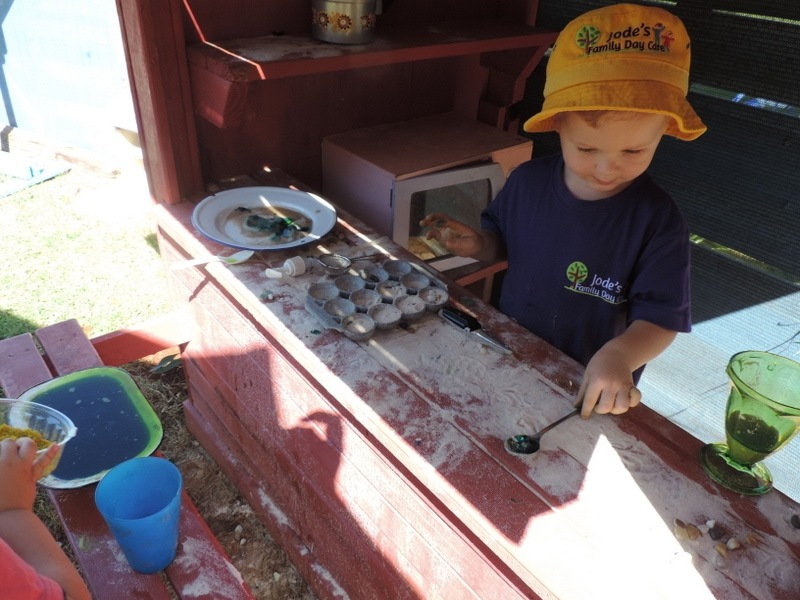 Turn old cabinets into kitchens with a little paint, glue lids onto thick cardboard or ply offcuts for hotplates , use old drink bottle or jar lids for oven knobs, stick on adhesive to create mirrors and splashbacks, cardboard boxes to build a stackable washer and dryer. 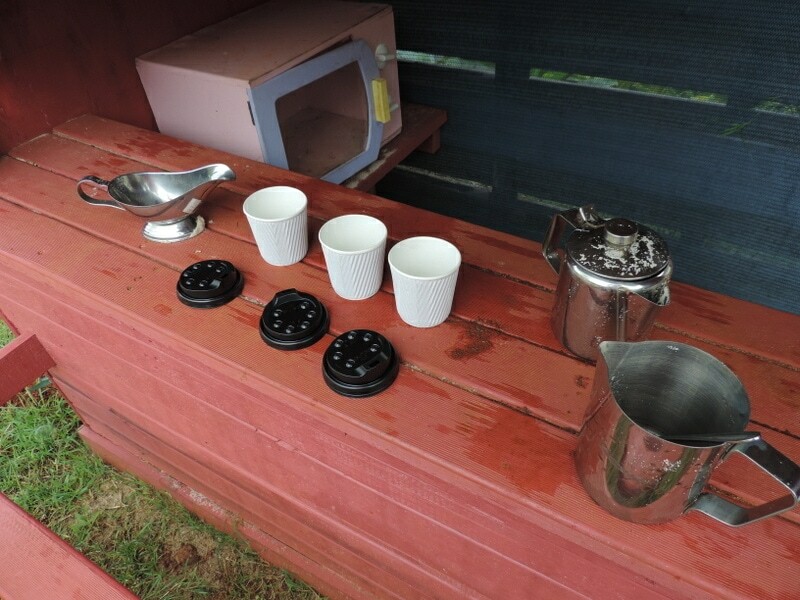 Add real teapots, cups, saucers, bowls, vases, toasters, kettles, phones etc. 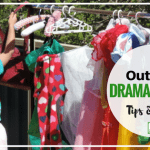 I’ve got lots of ideas to help you build your dramatic play props collection further below so there is absolutely no need to stress because you can’t afford to set up the ‘perfect’ home corner area! 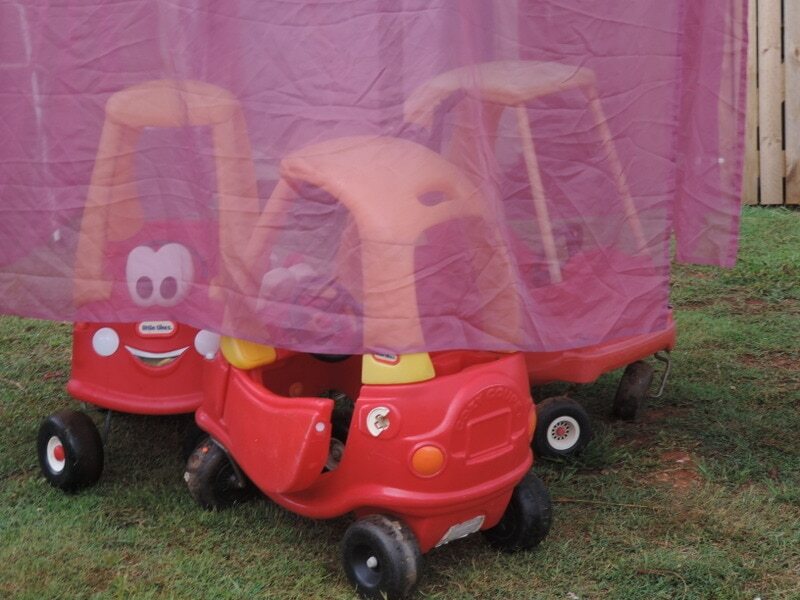 There is no perfect play space by the way! 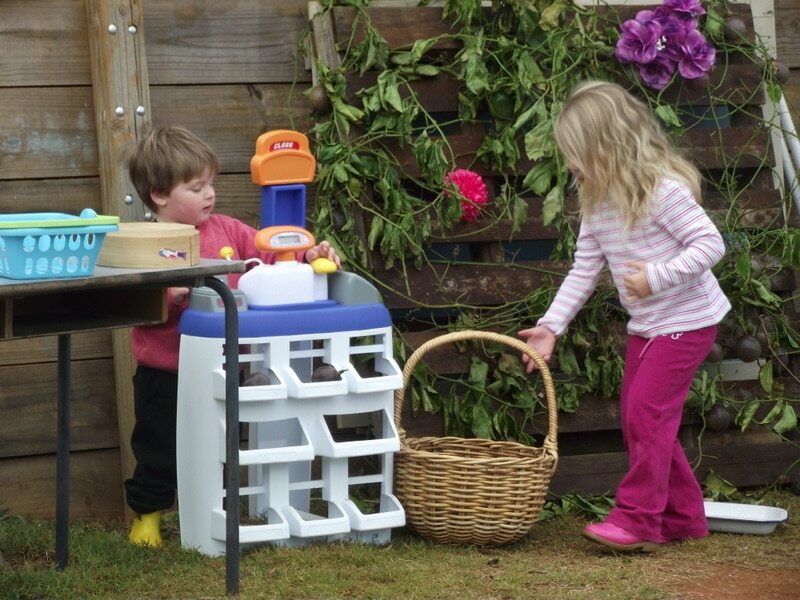 Use prop boxes and easy to move materials so you can set up spaces outdoors as well as indoors – you will be amazed at how the play changes from inside to outside! 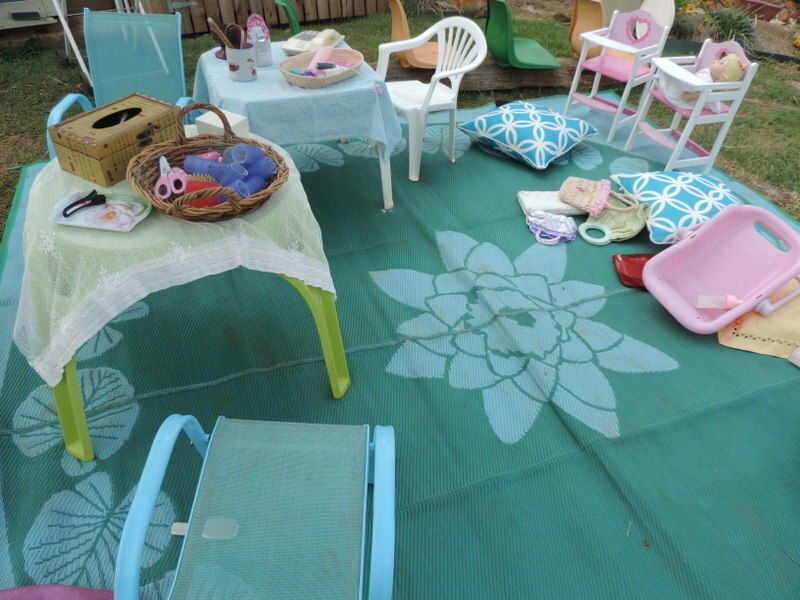 When you plan and design your spaces keep in mind when you add props and arrange resources that the children will more than likely want to take their dramatic play to different areas of the room or yard. Try and remain flexible rather than limiting the play to one area only. 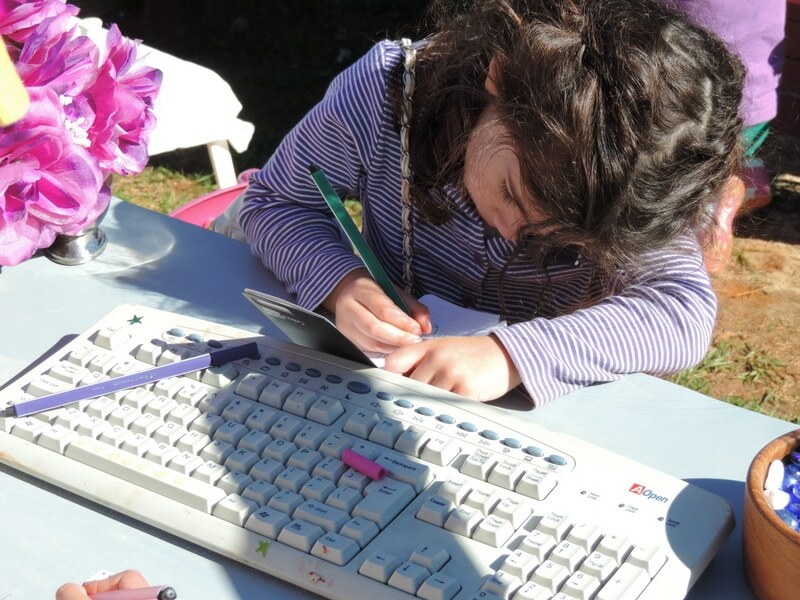 Include materials, props and invitations that encourage pre writing skills, literacy development, math and science concepts and use of current technology they may be familiar with e.g old tablets or mobile devices, measuring tapes, pens, notepads, measuring jugs, magazines, books etc. 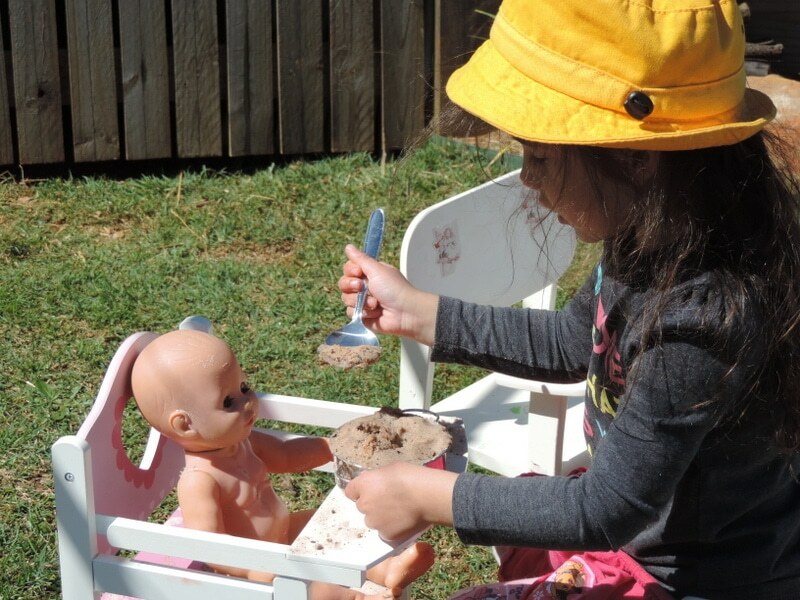 Use real tools, furnishings, clothes and props wherever possible rather than just the generic play food, dress ups and cutlery. You can of course aim for a mix of both as you build your collection – no need to throw everything you already have out!! 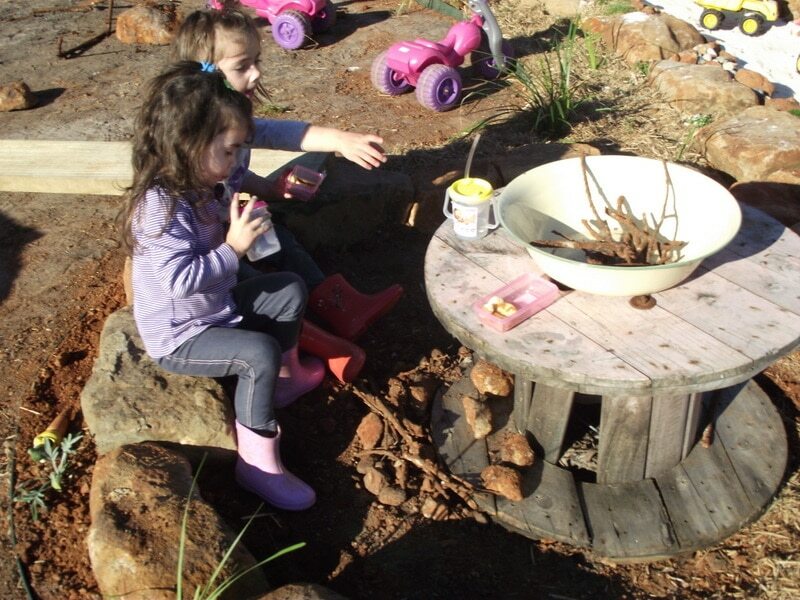 Keep your materials and spaces developmentally appropriate (but still with a level of challenge or risk) to encourage independent play and exploration. Have fun changing things around once a month! 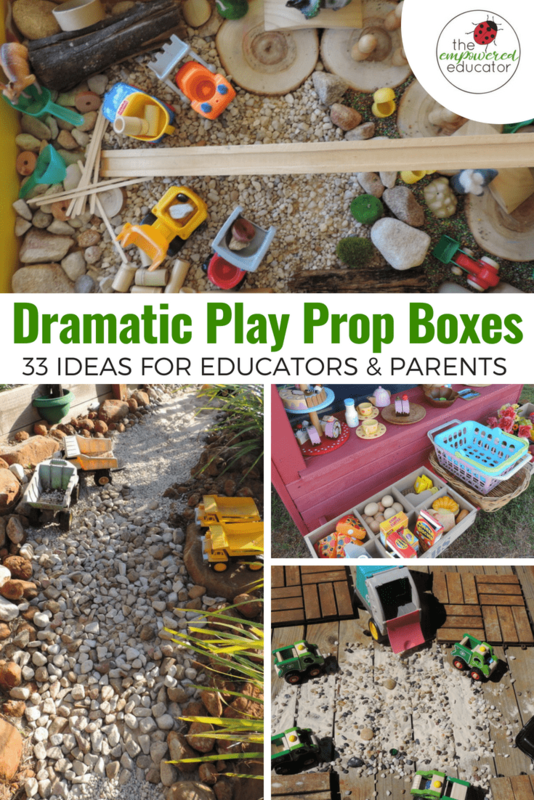 Tips for setting up your own dramatic play prop boxes. Try not to be to reliant on just themes to create your boxes – they might seem like a timesaver in terms of programming but it can be frustrating to try and link every activity you have planned to a specific theme or predetermined learning outcome! 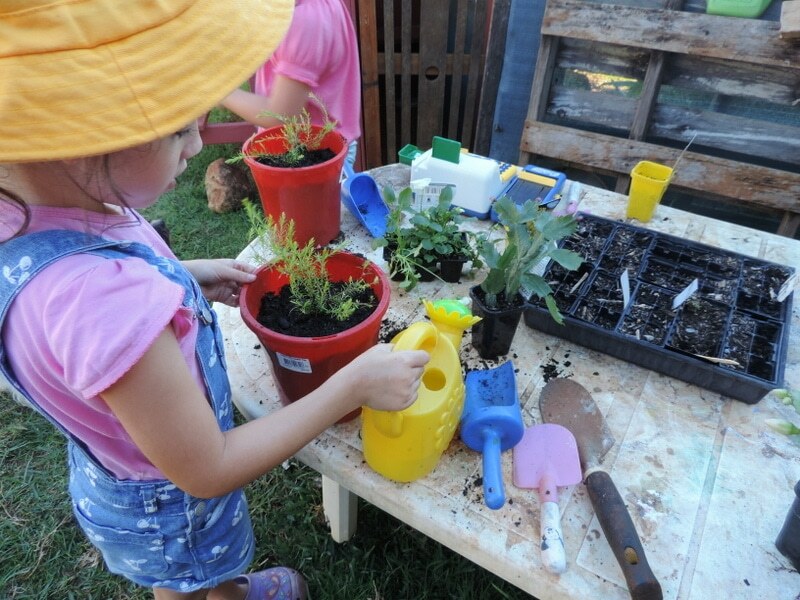 Themes can still work but read through my tips further below to ensure the way you use them actually allows the children to remain engaged and interested in their own learning. 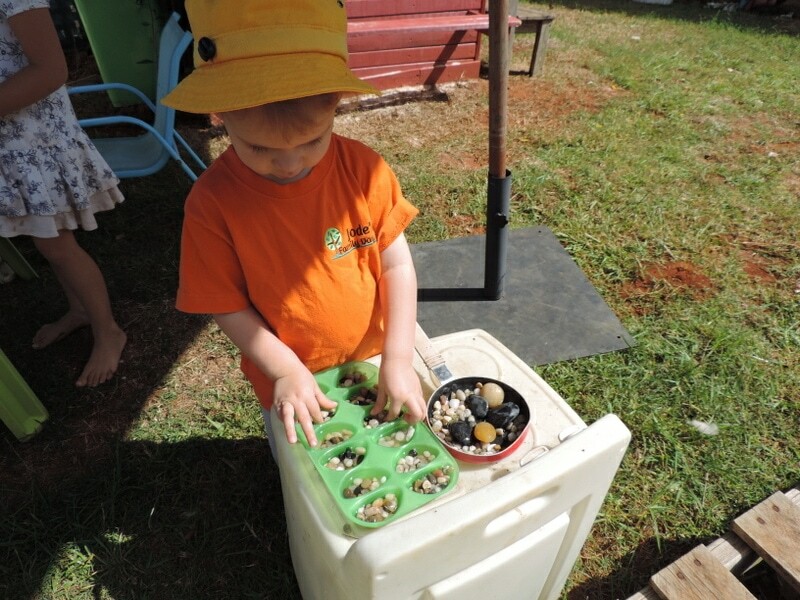 Ensure your prop boxes are compiled with lots of real, hands on and open ended materials the children can not only use to learn more about the world around them, their local community, their culture, their identity but also to just explore, play and experiment with different roles and skills. 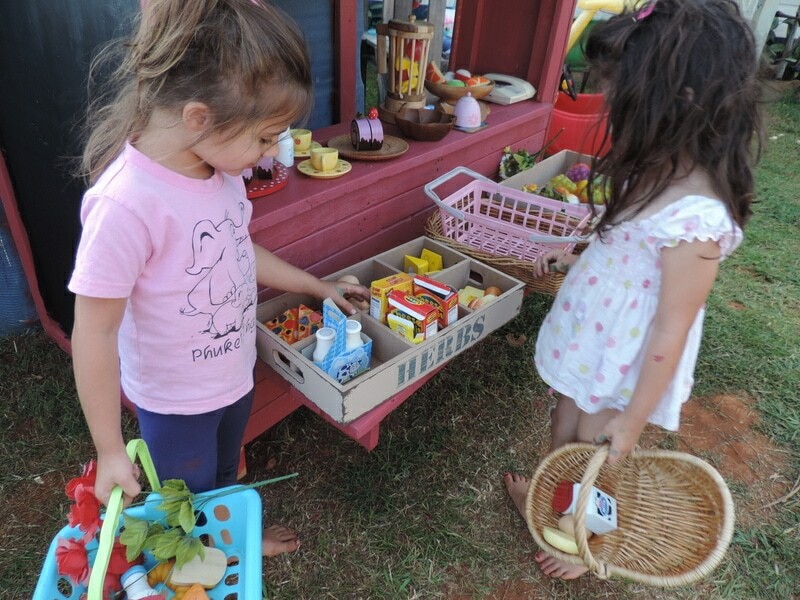 Make sure to visit your local markets and op (thrift) shops to help build your prop box collection without spending much money – families are also a wonderful source of materials, you just need to ask! Ask the children what you should include! 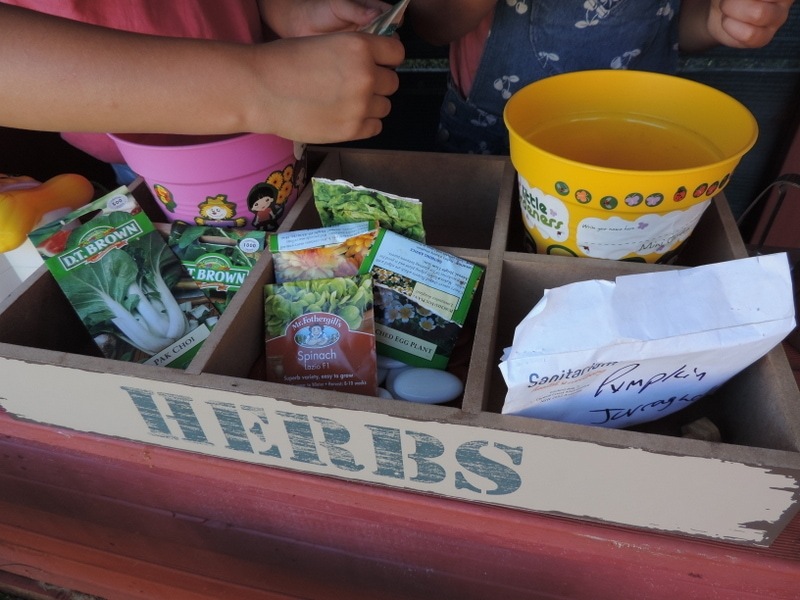 Label the prop boxes with words and a picture or photo of what’s inside, so children can easily identify the one they want to use if you are not setting the area up yourself (it also saves you time when looking for certain materials to use!). Think about how to include materials and create boxes that are inclusive of both genders and also culturally sensitive. 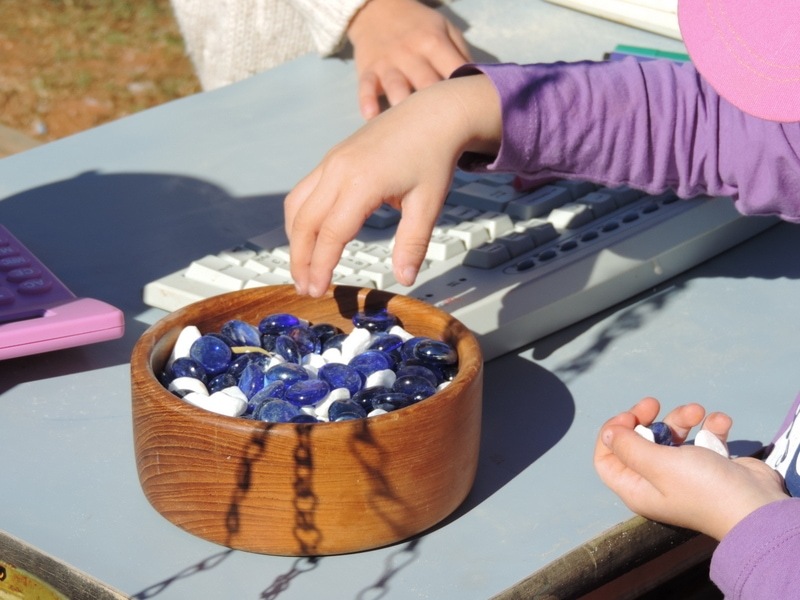 Include props that encourage development of basic math, science, literacy , sensory and social skills. 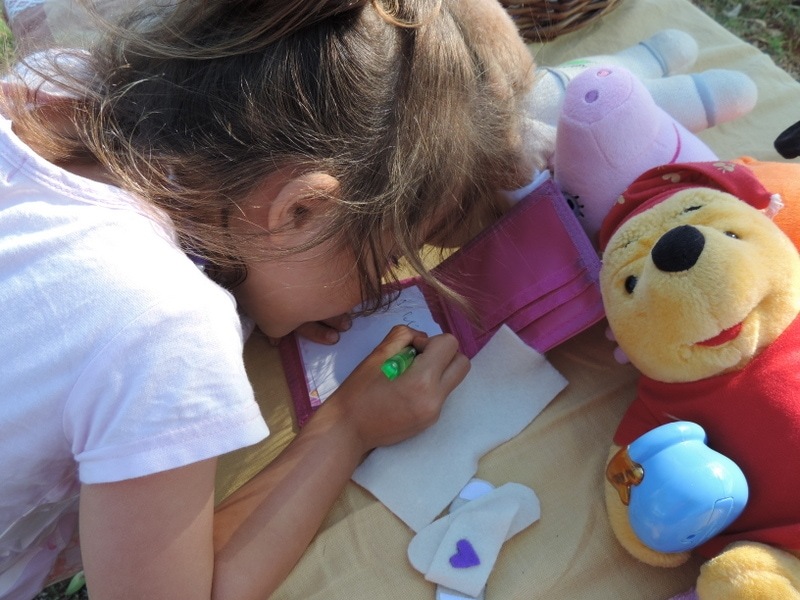 You can use the prop boxes you have compiled with certain learning outcomes in mind to initially lead the play so you can include some intentional teaching moments. 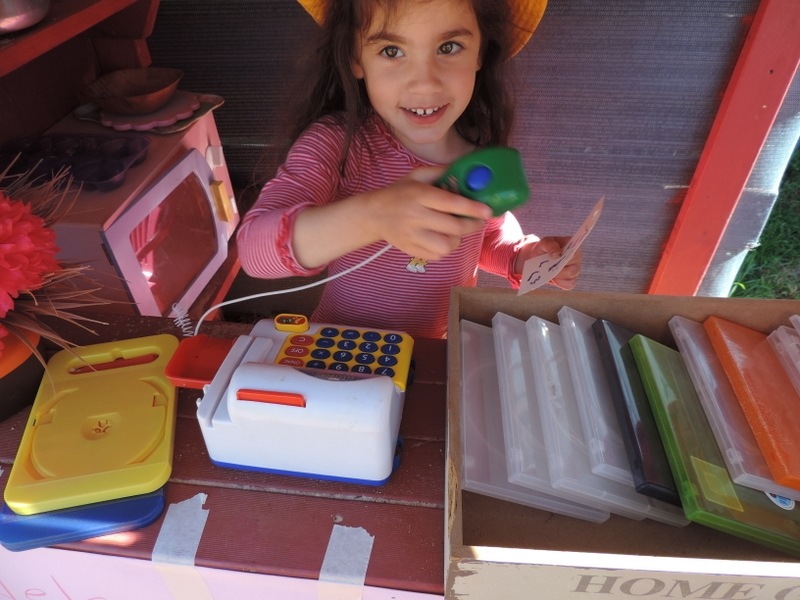 You can use the prop box materials to set up a specific invitation to play to further explore a particular topic, theme or child led interest. 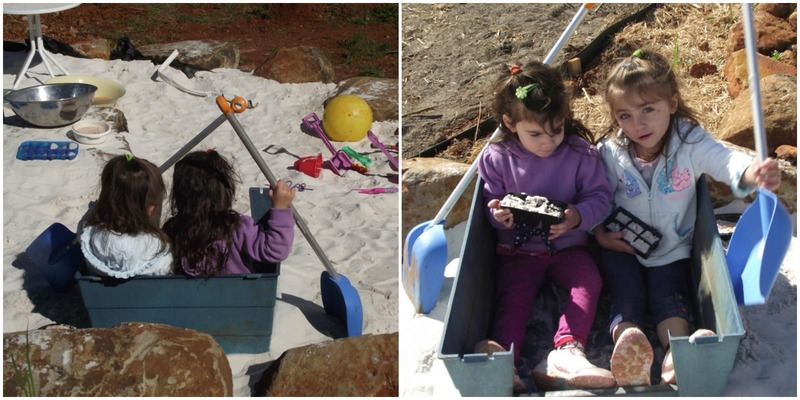 You can let the children choose the box they want to use and setup and use the materials in their own way without any direct adult input – they may set up something very different to what you initially envisioned for those props when you compiled the box. 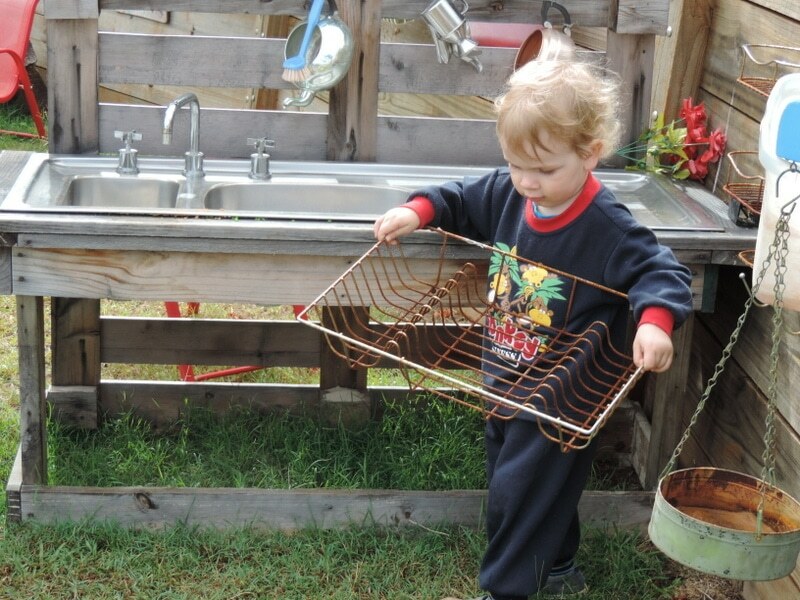 No matter which approach you start out with remember that the children may choose to interact with the props in the way you have outlined or perhaps they will just take the materials and use them in different ways as they explore their own ideas and incorporate the props into other activities. 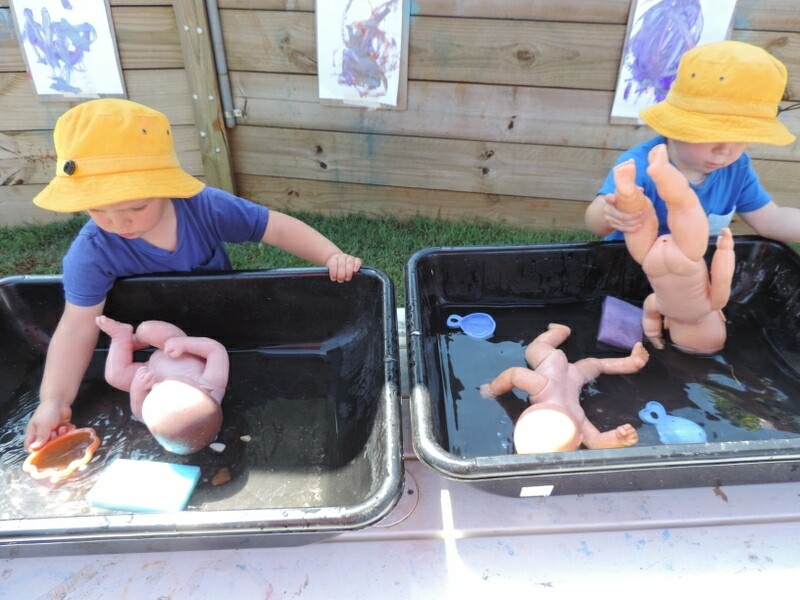 Both options provide valuable opportunities for learning through play so try not to stress if they aren’t playing with your box or setup in the ‘correct way’ because when it comes to dramatic play there isn’t a ‘correct way’!! 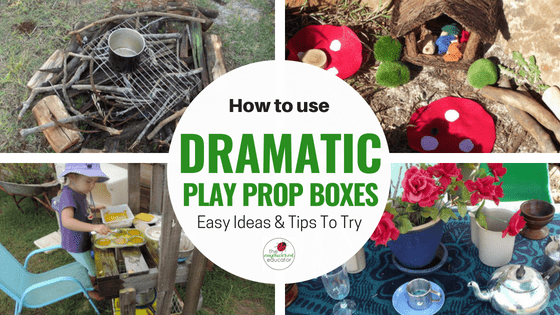 Use the props from each box as enhancements to your dramatic play space rather than a resource to ‘take over’ the space and direct the play in only one way. 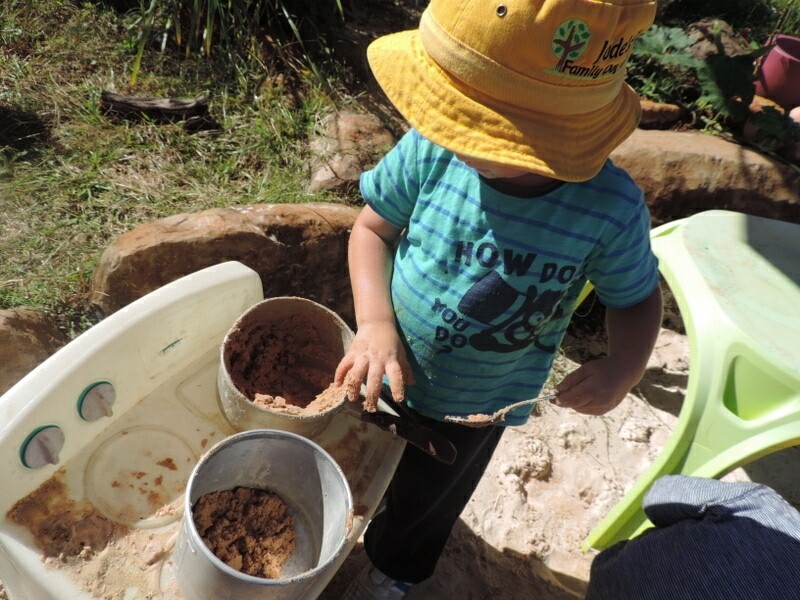 Be prepared to allow the children to use the materials and resources in different ways that you had planned for when you first set up. 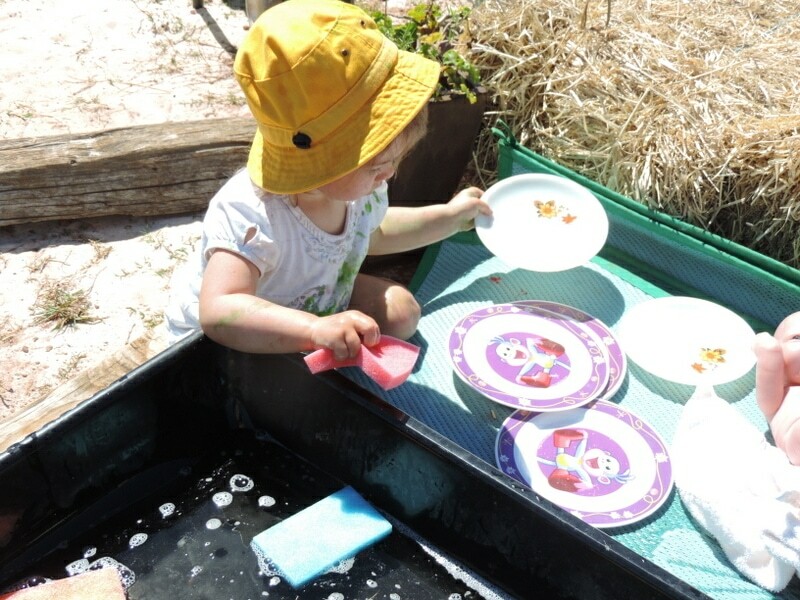 They may also want to take the props and link them to other areas of their play – especially when outside so try and be flexible if the pebbles and gems are taken from the outdoor cafe over to the sandpit then back again…yes even when the bowl returns with wet sand as well as gems! 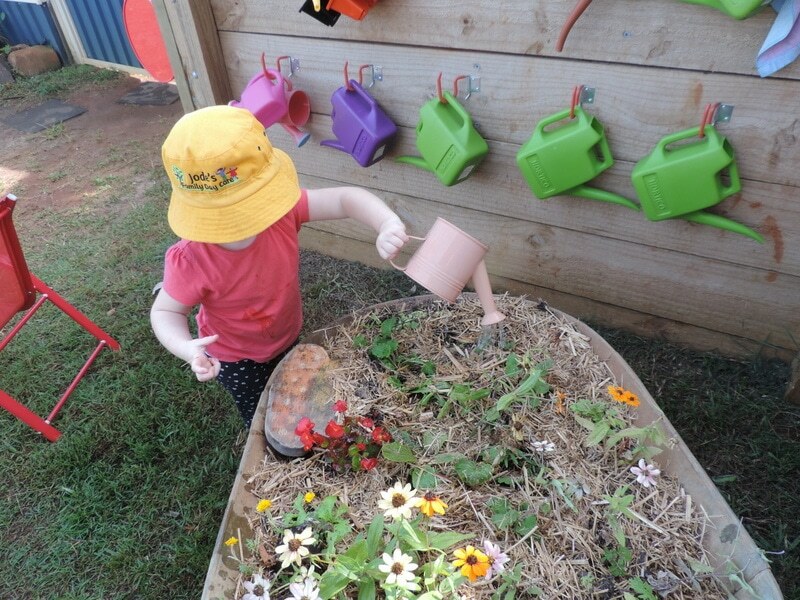 Leave out the props for at least a few weeks if possible to give children the chance to really explore and lead their play in different ways with the same materials. Introduce new boxes and rotate older ones on a regular basis. 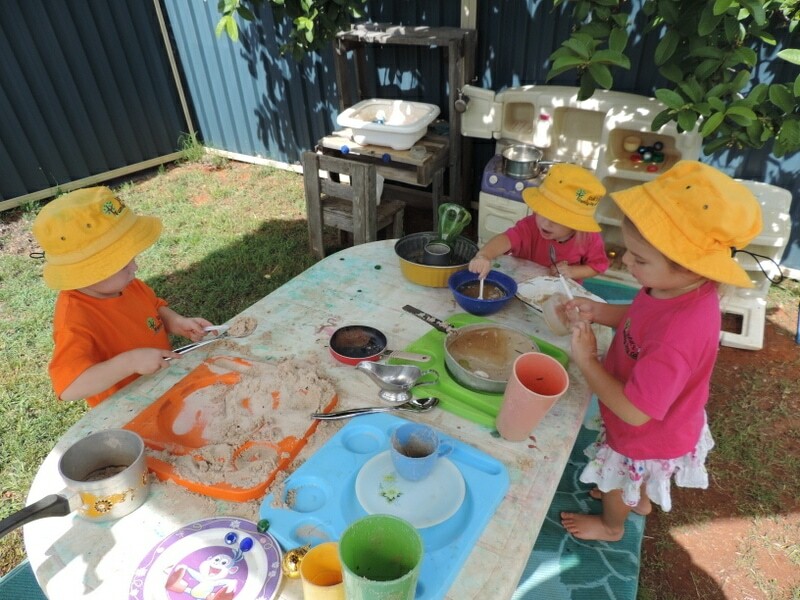 I personally like to leave a space setup for 3-4 weeks so the children have a chance to really investigate and use all materials in the way that they want to. 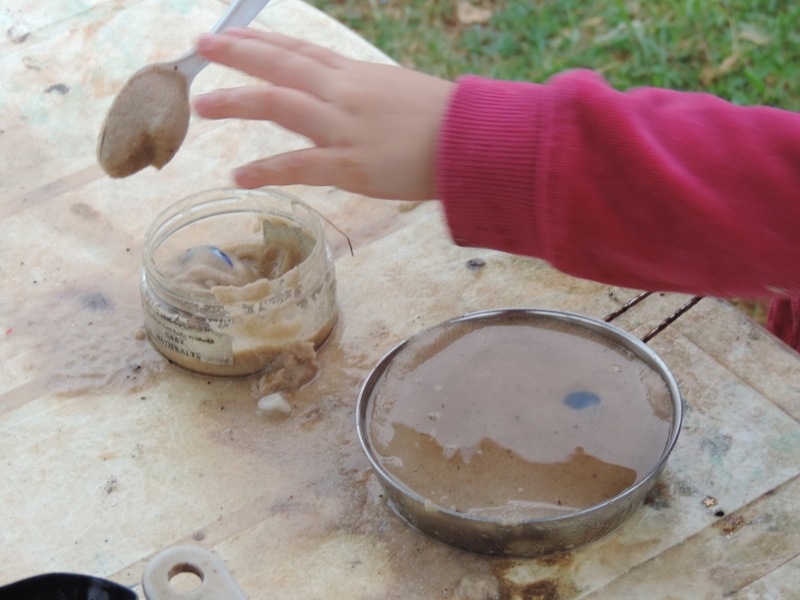 Observe and document how the children use the materials and the differences that become evident each time. 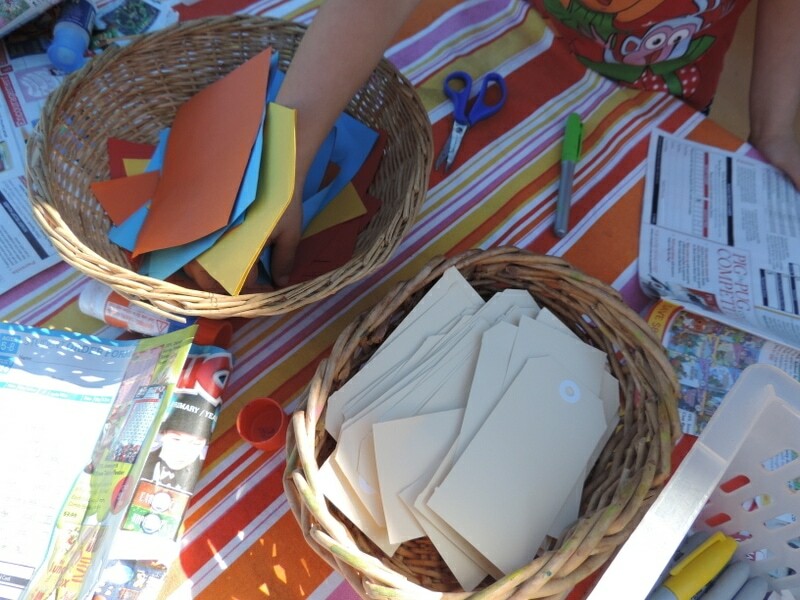 Ask older children if they would like to help you compile a box of their own -turn it into a group or individual project. 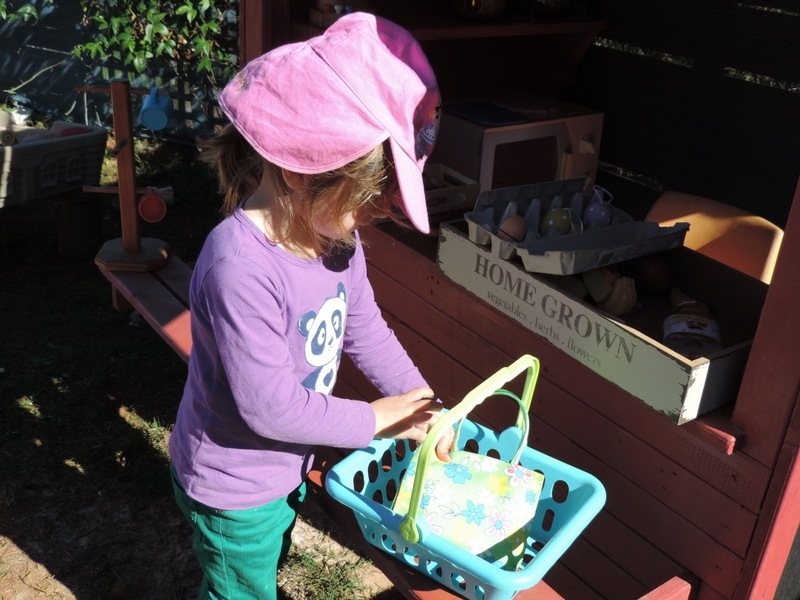 Use the prop boxes as an easy way to introduce more real and familiar tools, natural resources and open ended materials to your everyday play and planning. 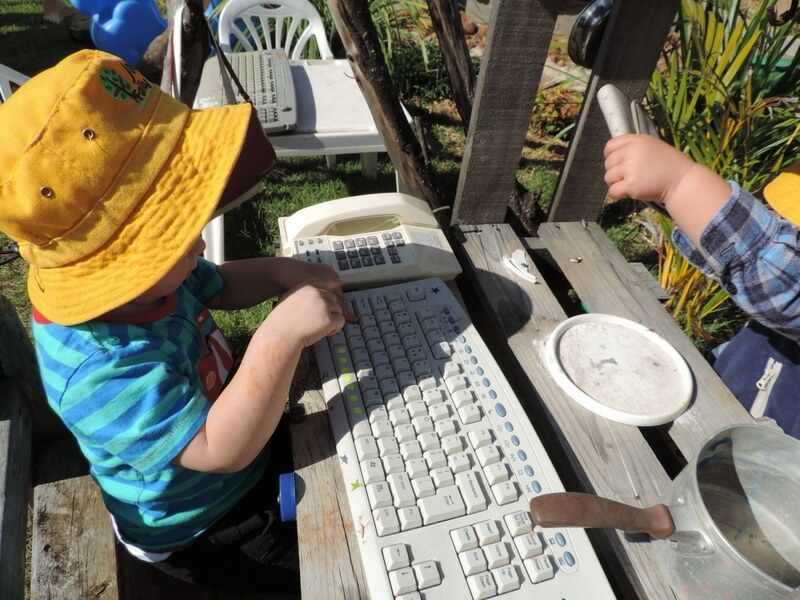 Use your documentation and observations to help you identify current and emerging interests, abilities, new developmental stages and skills. You can draw on this information to help you decide what box you might want to rotate with for your next plan or even to give you ideas for what type of box to create next and what materials to introduce. 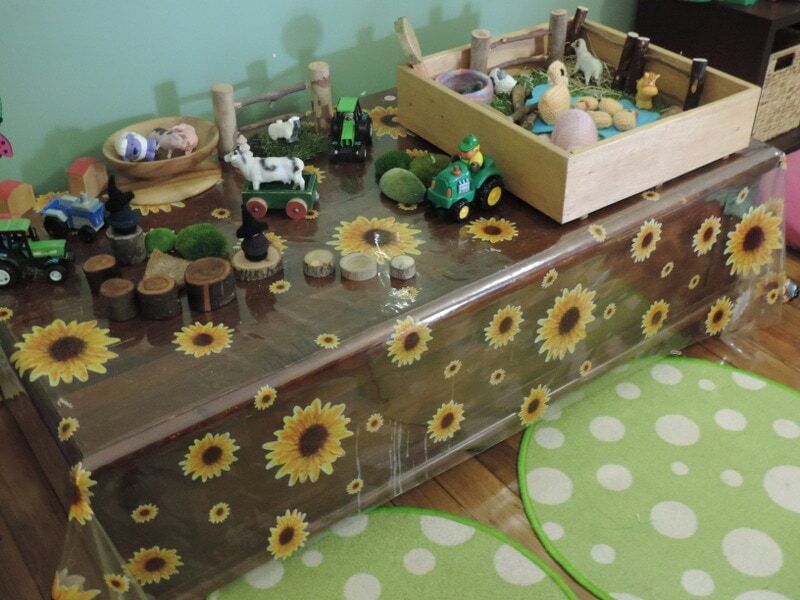 Using themes with dramatic play prop boxes – yes or no? This really isn’t a big issue but I knew someone would ask me the question so I’m going to add a couple of little points here that you might like to consider when using themes. Firstly – there is nothing wrong with using themes so don’t let others make you feel like an awful educator if you are doing this dastardly deed! But there are a few perspectives you might like to consider to ensure they are an effective rather than limiting tool. I actually gave up using themes many years ago as I found they caused more stress than they were worth. Why? because I felt like I always had to find this link back to the theme for every activity or experience I wanted to do. And let me just say that this link was usually quite thin! I was spending a lot of time trying to fit everything I planned into this theme, it was exhausting. 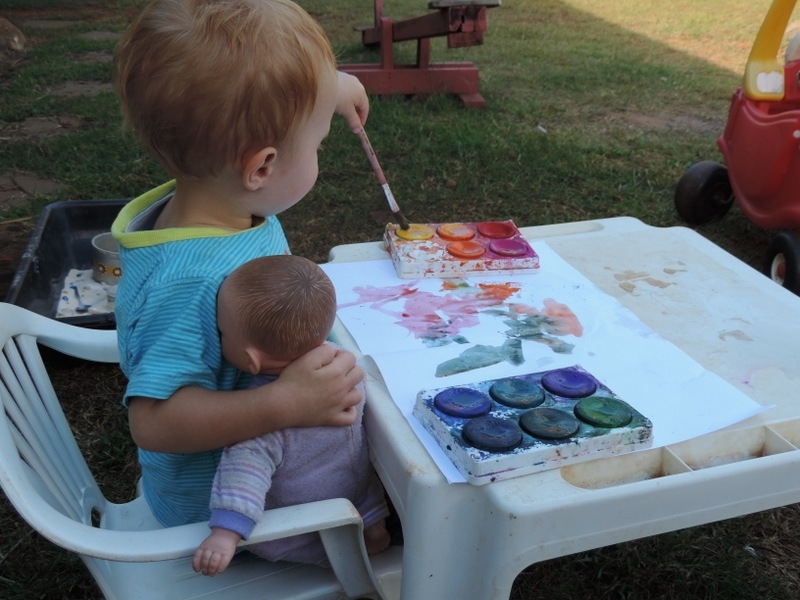 When I first trained in early childhood themes were all the rage and we were told that they made planning so much easier. And for some educators they do so if they work for you I’m certainly not here to tell you to stop. 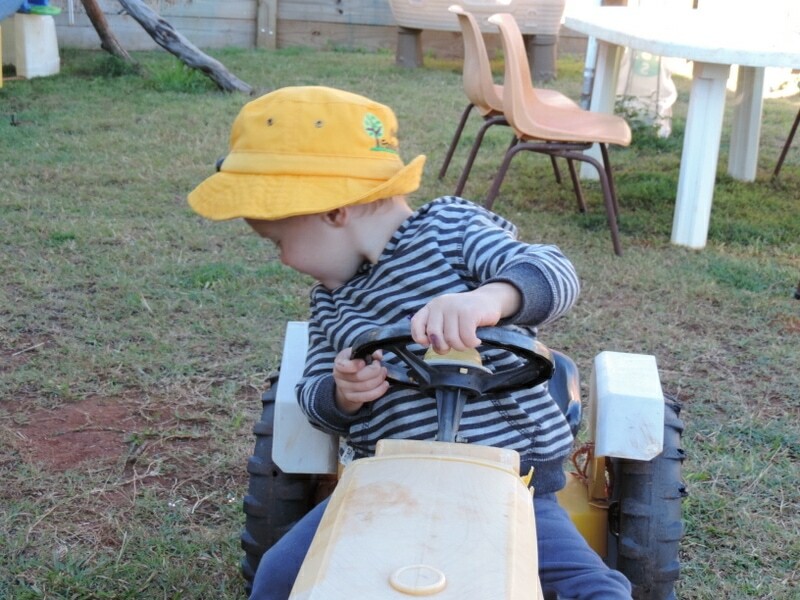 But what I will say is that it can be very easy to become frustrated or even upset that the children aren’t using the dramatic play props, spaces and activities in the way that you intended…in the way that meets your ‘theme goals’. What am I talking about? 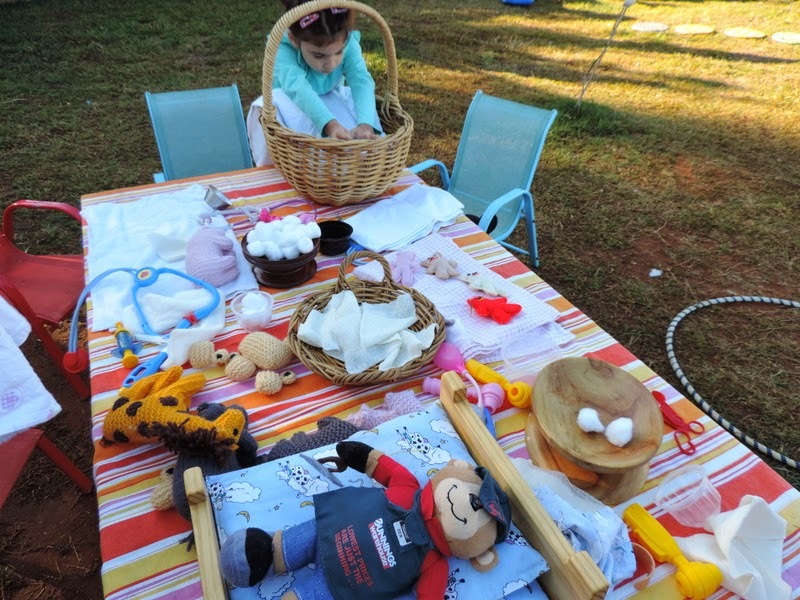 Let me put it this way…consider you have spent your Sunday afternoon setting up what you feel is the best hospital dramatic play area ever for your room or home play area. 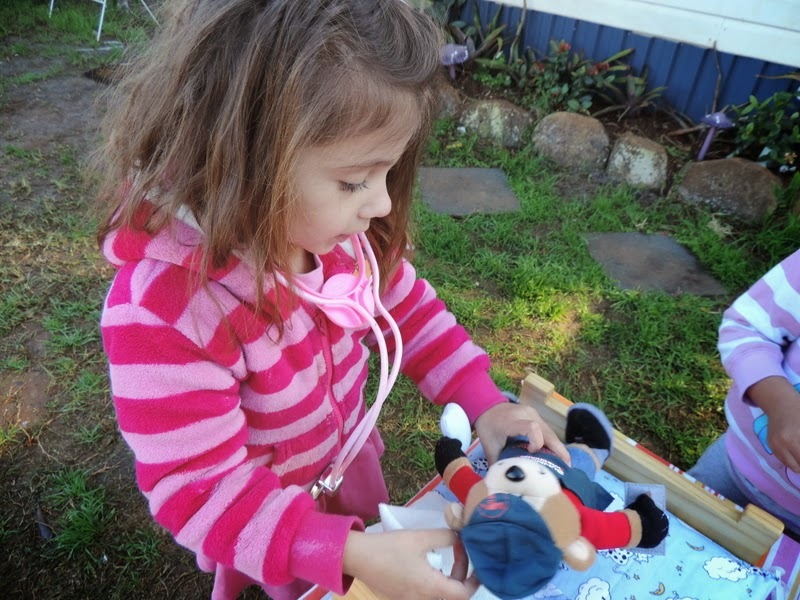 I mean this sucker is awesome and you spent hours getting everything right, printing off signs, adding materials from your hospital prop box…and best of all it ties in with your current monthly theme of ‘community helpers’ or ‘hospital’. You take a pic and get that beauty up on Insta and onto your Facebook page before you leave. You are one dedicated educator. And you are – you spend time on things like this because you love the work that you do and you want the children to enjoy it. Nothing wrong with that or the theme so far. 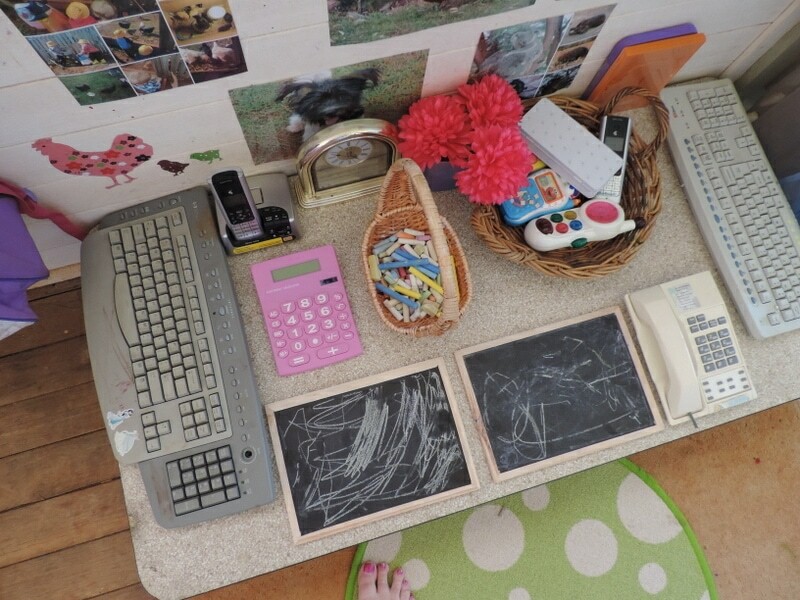 Then the children come in the next day and run to the new updated home corner space that now resembles your version of a hospital…Jamie said he recently went to hospital to visit his grandpa and loved seeing all the doctors so you are also following the child’s interests!. 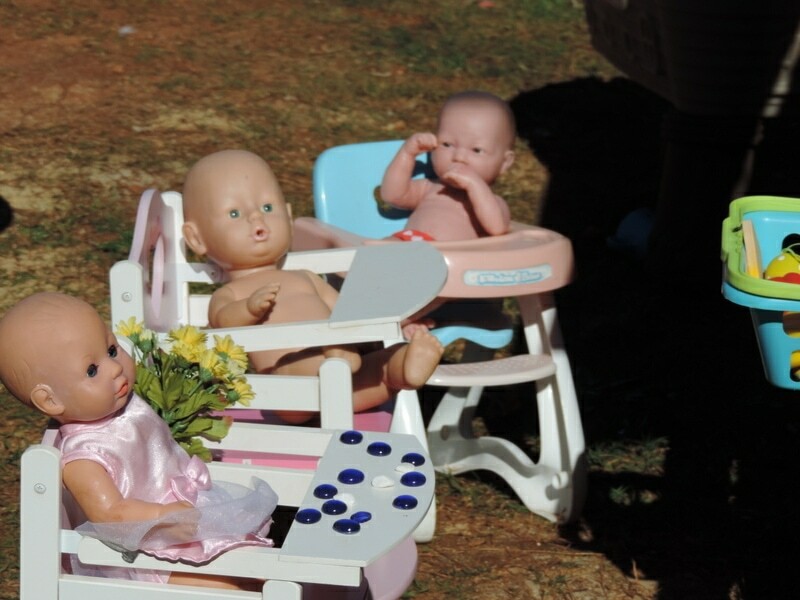 They love it and begin trying out all the new props you have set up. You check in at the ‘admin desk’ and get your arm fixed by the ‘doctors and nurses’ all dressed up in white coats while talking about what happens in hospitals (your version) before backing away to leave the children to play by themselves. Later you turn around to see the children using the play syringes as pens, the bandages are over in the block area laid out all over the floor in between blocks, the white coats have become dinosaur costumes as girls and boys run around roaring together and there seems to be trucks and cars lined up on the hospital ‘beds’! 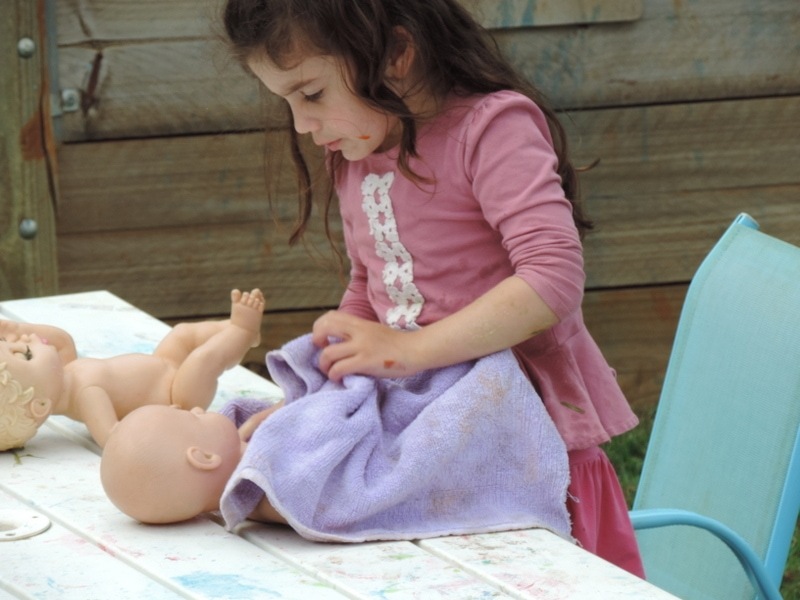 This is not hospital play – why did you even bother? Why aren’t they playing with it ‘properly’? 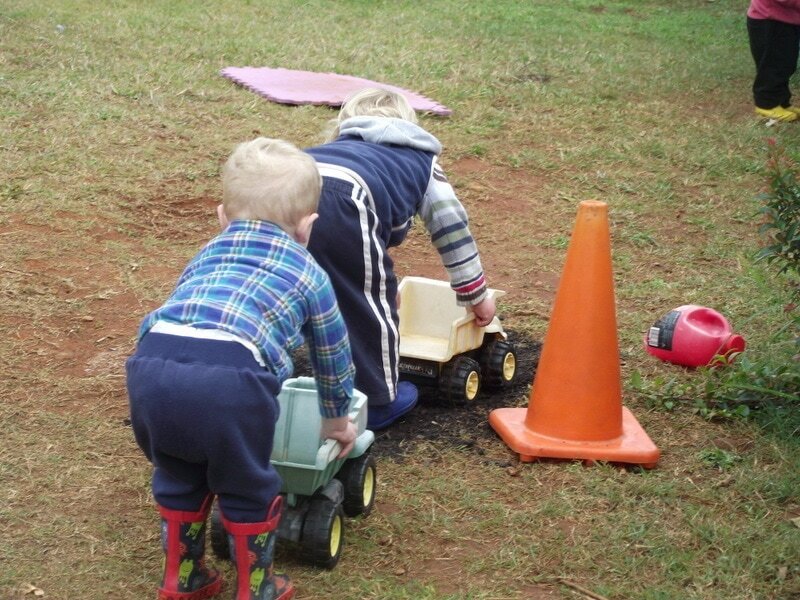 I may be over-exaggerating here to make my point but I’ll admit feeling this way often in my earlier days – a lot of work goes into creating those dramatic play spaces after all! 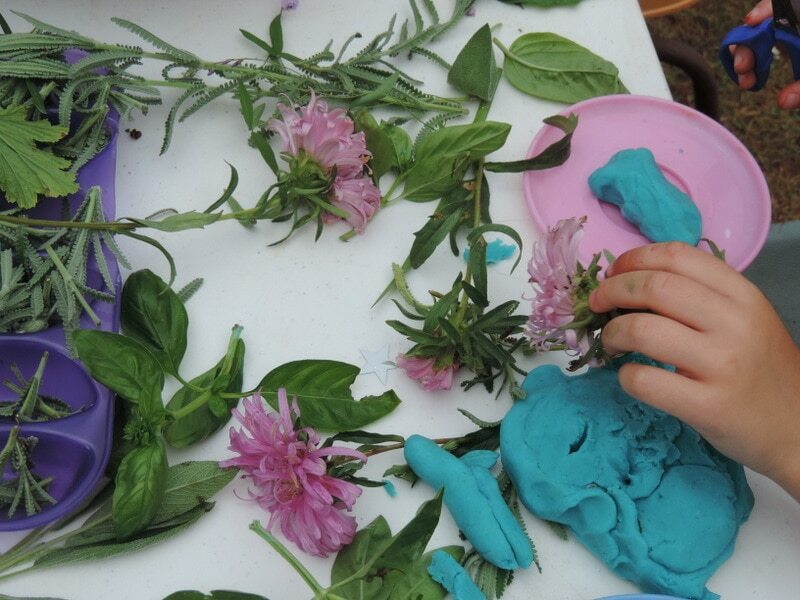 And this is where themes can limit you and the creativity of the children who are taking part. Our interpretations are not their interpretations. My idea and experiences of a hospital are not the same as Jamie’s. 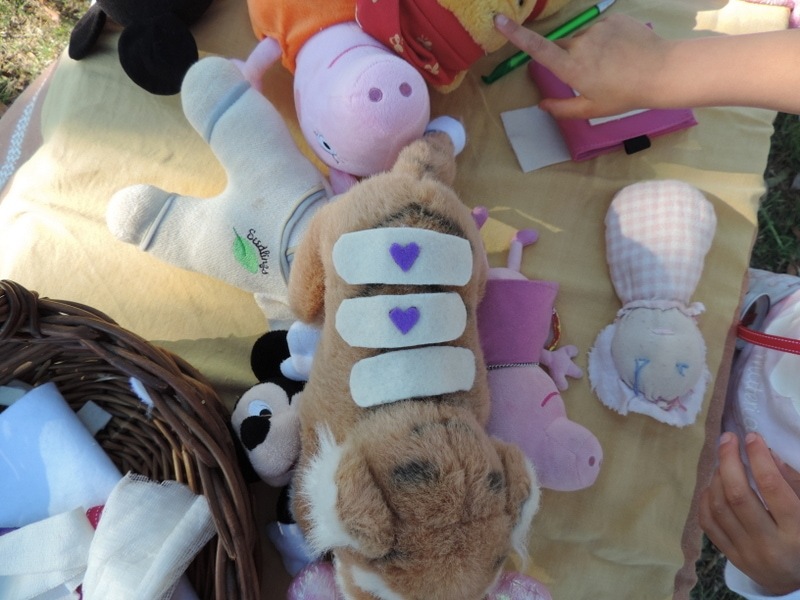 I don’t know that the bandages are now forming a complex emergency road in the block play area so the ambulances can get to the hospital. I don’t realise that the syringes are being used as pens to write out the patient details on that scrap of paper from the recycle box or that the trucks lined up on the hospital beds are actually ‘bugs’ that need to be fixed. But I will understand all of this if I don’t get caught up in my own expectations and vision for how I imagined they would play in this area with my themed props. If I don’t get hung up on them not understanding the actual ‘theme’ . 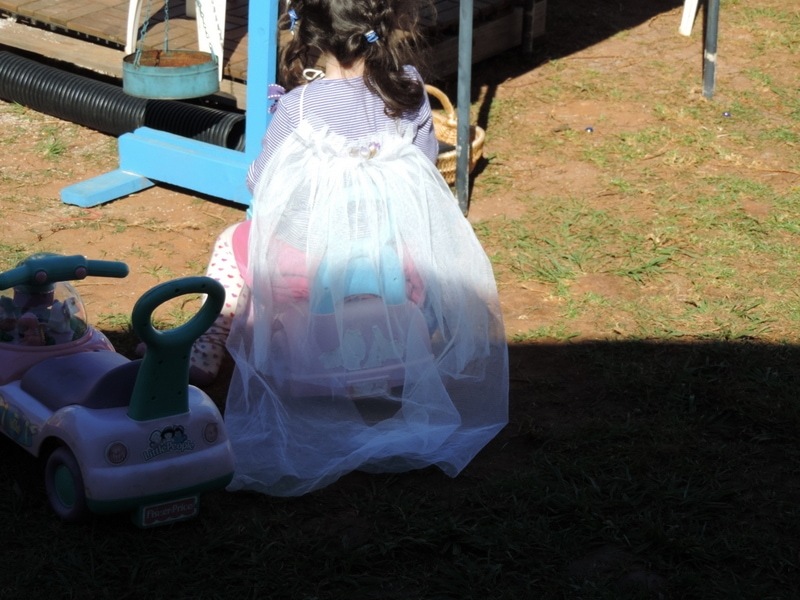 If I remain flexible, observe and listen to conversations as they happen around me or I ask questions about what I see instead of asking the children in my frustrated educator voice to take the bandages back to home corner hospital and the trucks back to the car mat! 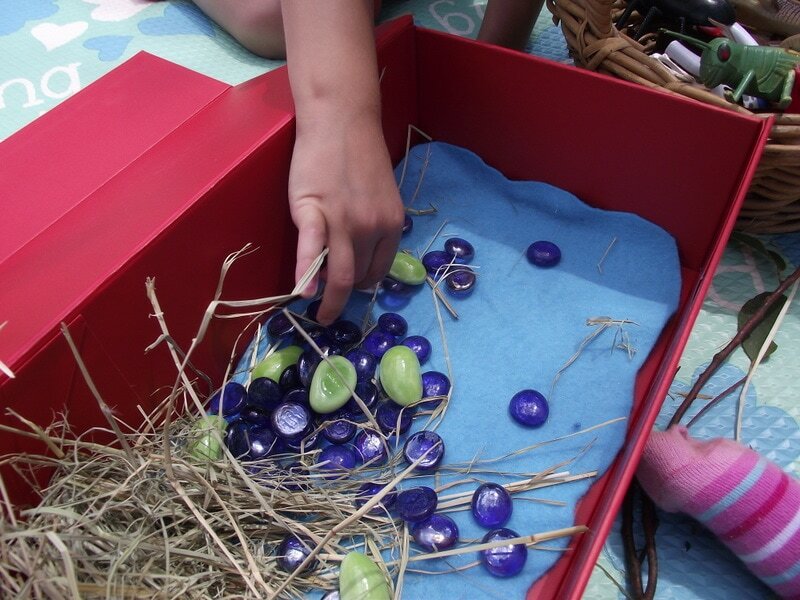 So use themes when creating prop boxes but try to also incorporate random box collections or use the topic to help explore a child’s interest in that area. Don’t get locked in to always feeling you need to predetermine the play just because you initially set it up. 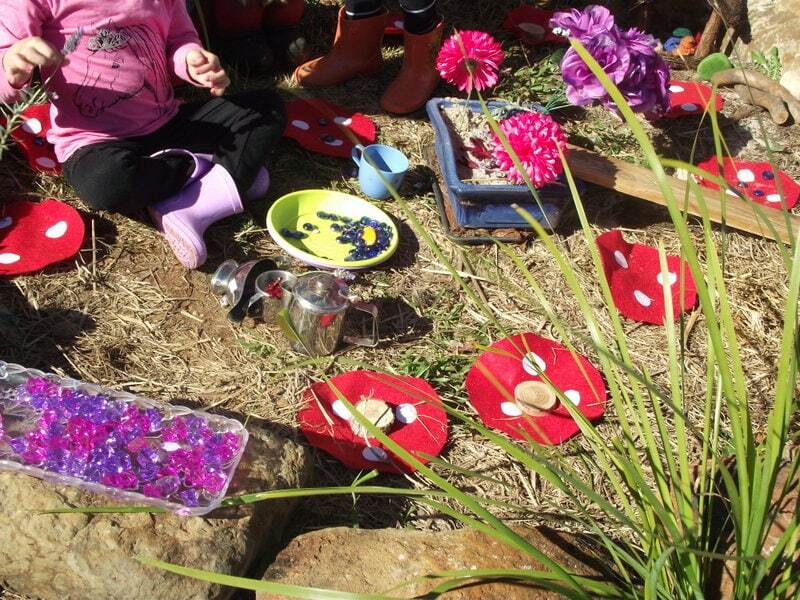 Allow plenty of opportunity for children to form their own interpretations using the materials and spaces you provide, to use their imaginations , think creatively, be inspired and feel like an individual. Your way is not the only way they will learn. Trust me.. it will be a lot less stressful for you and you will also have some wonderful observation and conversations to document! So let’s take a closer look at some ideas to get you started compiling or adding to your own prop boxes. 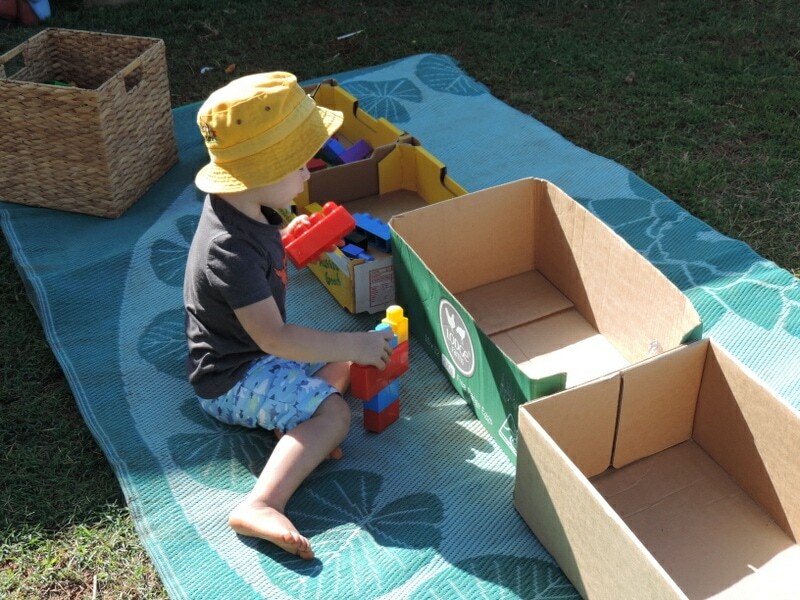 Some boxes are linked to themes or general interests but it doesn’t mean the way the objects and space starts out when you are playing with them too is the way they will be used in the end when you aren’t leading the play. Flexibility is the key to using prop boxes. This is a collection of some of the props I’ve used the most over my 30 years working in early childhood – don’t feel you need to collect all items suggested, use them to give you a little inspiration then look at what you have available and could compile without buying a lot of new resources. 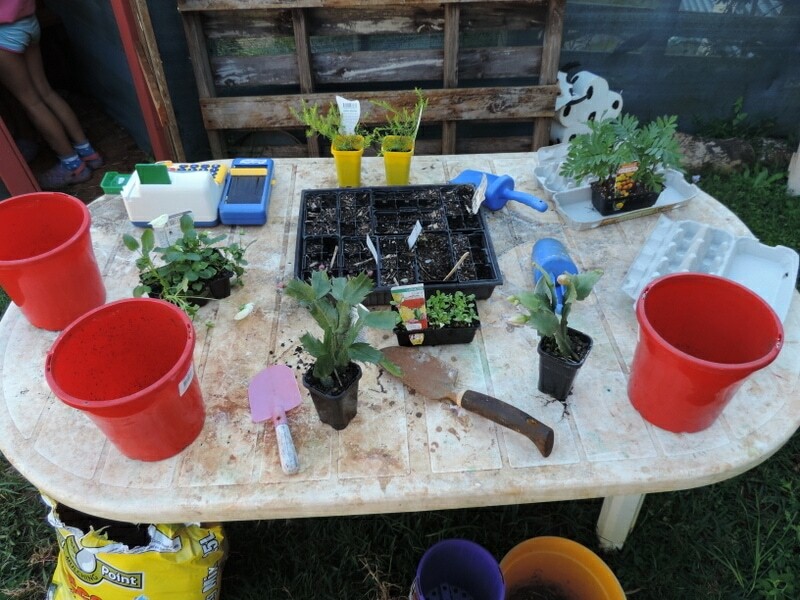 I suggest starting with 5 prop boxes first then building on your collection from there.Remember to include the children and ask for their ideas to create new prop boxes. 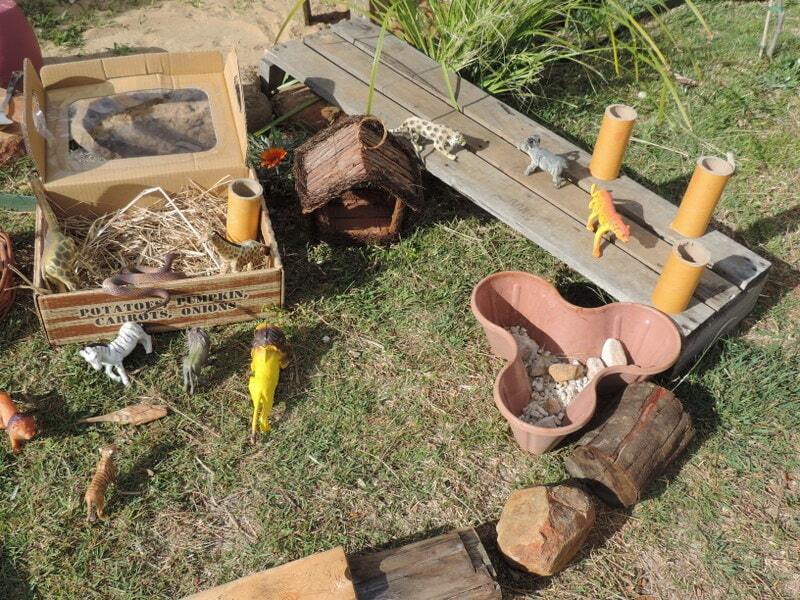 Don’t forget to ensure there are always some open ended or natural materials added to your boxes along with the themed resources. 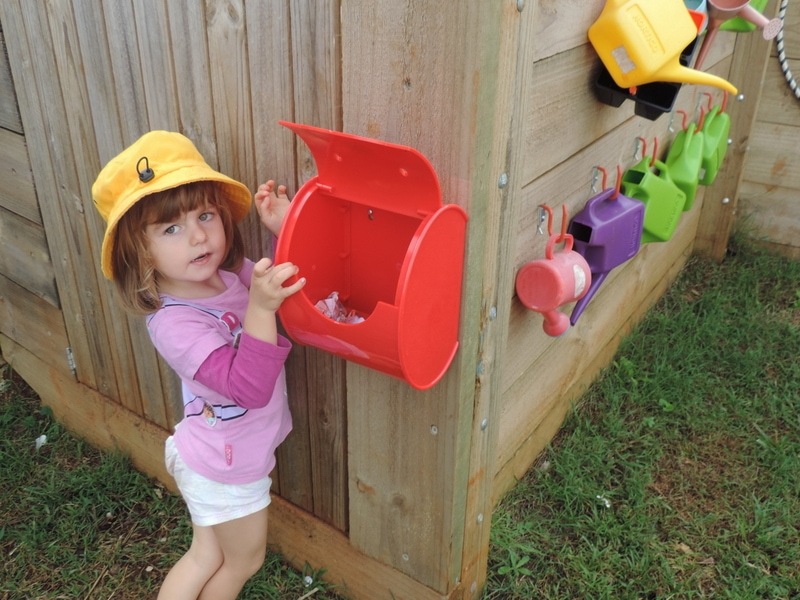 You can use shoeboxes, cardboard boxes, baskets or plastic storage containers with lids for your prop boxes – consider the storage space that you have and how big you want each prop box collection to be – remember that less is usually more when it comes to children’s play! 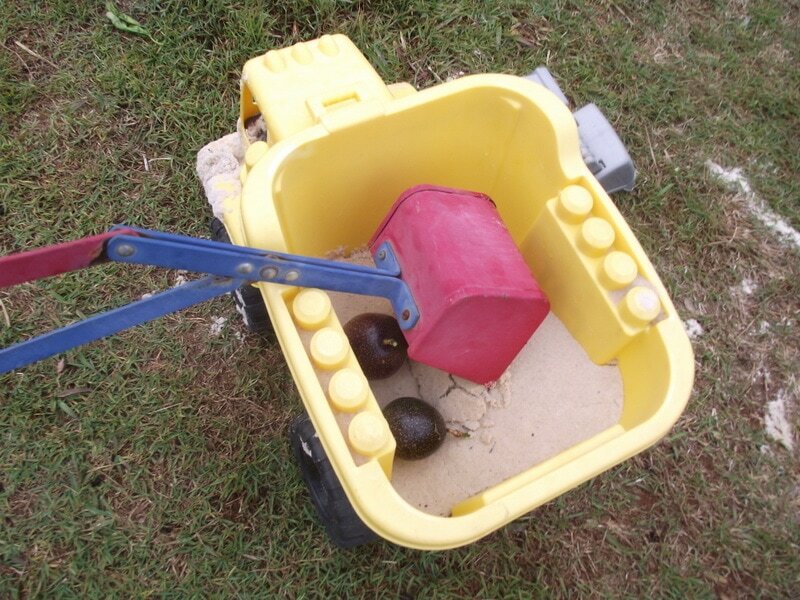 Ask the children for their ideas too or to bring in items from home to add to interest prop boxes. 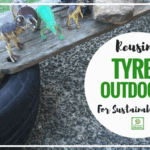 Obviously not all of the materials suggested in the lists below could fit into a box but I wanted to leave you with a little extra inspiration to incorporate different materials from your room or outdoor area as the play extends. Notepads and pens or crayons, small clipboards, hats and shirts from the op shop or your dress up collection, table, stamp pads, posters or pictures of male and female police officers, dogs, cars, bikes, box of blank stickers, small empty boxes (great as ‘walkie talkies’), blue material, bags, cardboard boxes (awesome ‘jail cells’), chairs or tyres arranged to ride in the police car. Make sure to visit your local police station and ask if they have any stickers, brochures or safety information they could share with you. 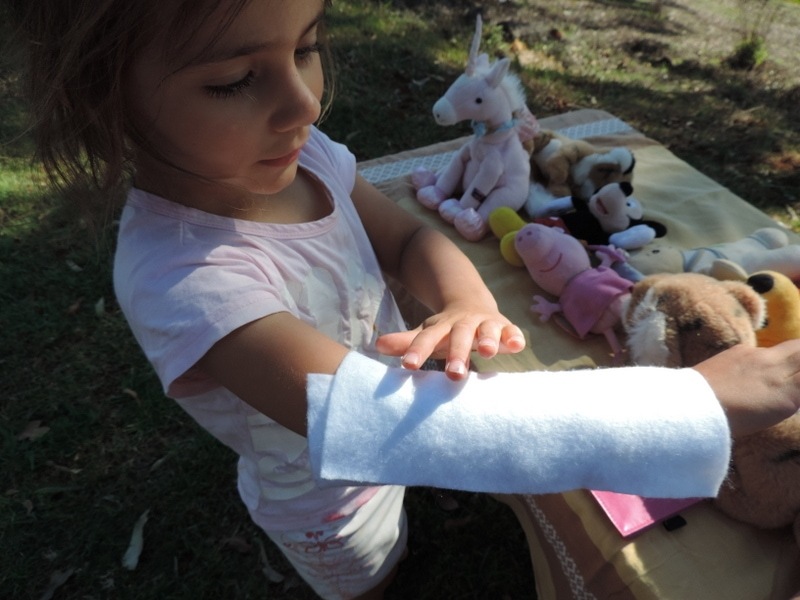 Baskets, gauze, old bandages (or use some old socks and cut the cuffs off – they make great bandages! ), syringe cases (no needle obviously), cotton balls or wadding, fabric scraps and felt pieces, stethoscopes, dolls, doll beds, plastic bottles with lids, telephones, old keyboards, empty baby food jars, flat surface to use as table, clipboards, shoeboxes, folders, pens, white coats or shirts from the op shop, cardboard boxes, stickers with red crosses drawn on (make sure to leave some blank for children to add their own designs) large craft sticks (tongue depressors, needles, splints! ), x-rays (if you can’t access real ones try searching google images to print out – you could also tape or glue them to some transparency paper and include a lightbox in your hospital area), scale, gloves, bags, blankets, blue sheets or material, thermometers, pictures or books with doctors, nurses and hospitals from around the world, slippers, watches, flashlights, real bandaids or make your own felt ones and a plaster cast like we did here. 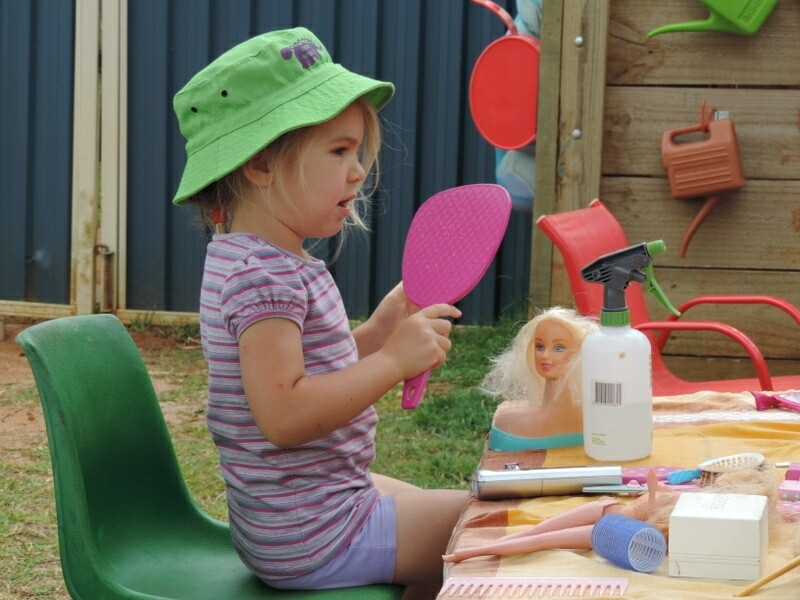 Toothbrushes, mirrors, bibs or paper towel squares, dolls or animals, phones, light/lamp, tooth x-rays, sunglasses, index cards, books, magazines, chairs, posters or pictures of healthy teeth, clear safety glasses (cheap ones are easy to find in $2 shops! 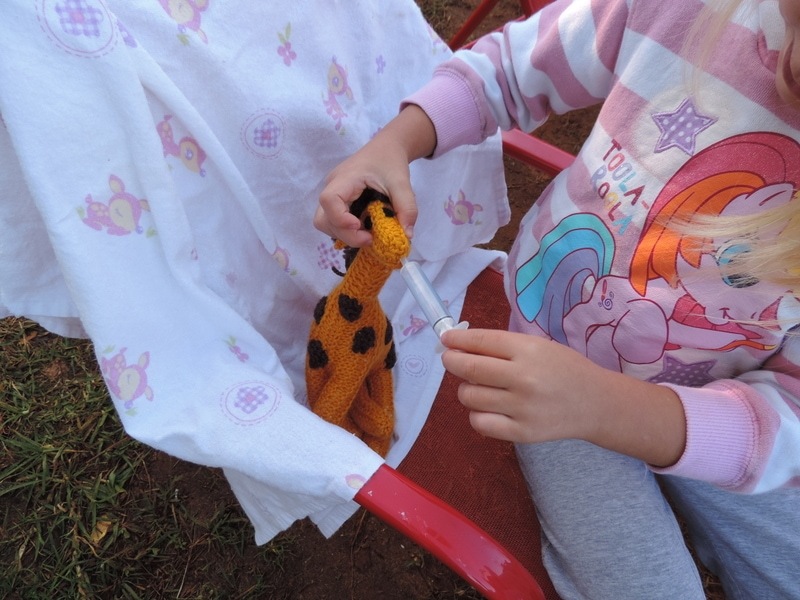 )gloves, writing pads, pencils, empty toothpaste tubes, mirrors, egg cartons (make excellent teeth to practice brushing! ), craft sticks, small torch for looking in mouths, calendar, cash register, material remnants. Old keyboards, computer screens, tablets, mobile phones, landline phones, name plate, stationary, baskets, staplers, pencils, pens, crayons, calculators, old admin forms, folders, envelopes, bags, stamps, stickers, junk mail, ties, adult shoes and dress ups, old typewriters, paper from recycle box, cardboard boxes different shapes and sizes, glasses, lunchboxes. 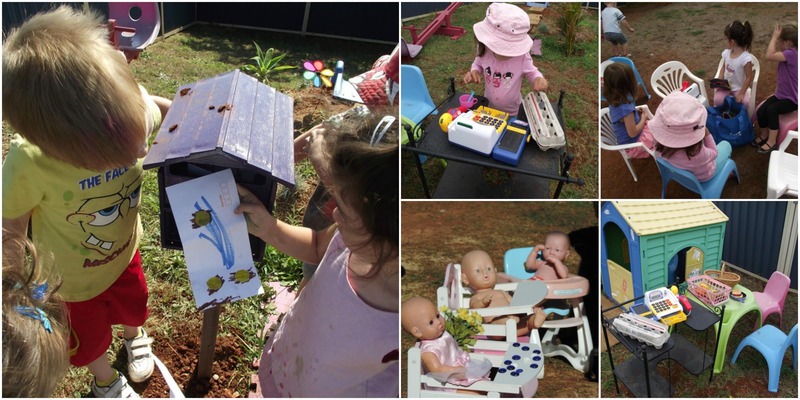 Backpacks and bags of different sizes, lunchboxes, containers with lids, clean food containers, chalk, chalkboards, whiteboards and markers, tablet devices, old laptops, exercise books, art easels, paints, paper, cardboard, photos of play, dolls, cars, blocks, lots of open ended materials to see what they create as their version of an early learning centre! 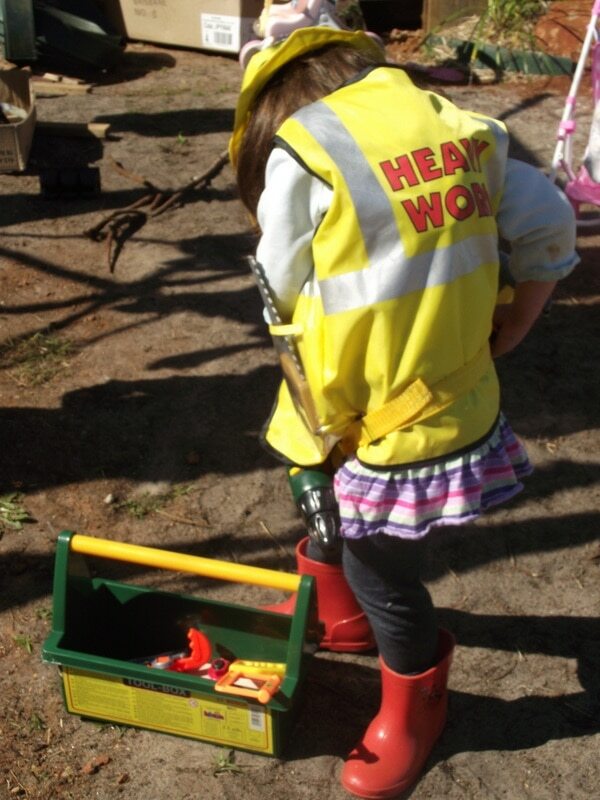 Hard hats, real and play tools, small toolboxes, trowels, measuring tapes, lunch boxes, clear safety glasses, empty paint cans and paintbrushes, roller brushes, boots, vests or fluro shirts, PVC pipe offcuts, tubing, wood offcuts , photos or books with pictures of tradies building and construction sites, trucks and cars, cardboard boxes, blocks. 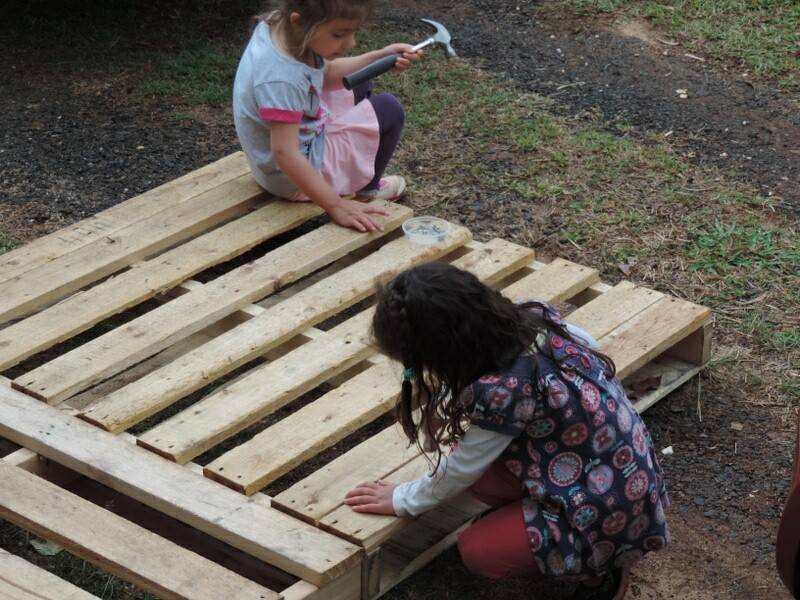 If playing outside I like to include old pallets, rope, sand slurry mix, sawhorses (plank trestles) and gravel. Cash registers, cards, small empty food boxes, newspaper or butcher’s paper for wrapping, tablecloths, vases, real flowers, glasses, cutlery, aprons, placemats, trays, jugs, old menus (or make your own together by cutting out food pictures and pasting to cardboard), plates, serviettes, chalkboard for specials, brown paper bags, signs, sticker sheets, takeaway containers, play money, bikes outside for the drive through, led tealights or candles, food (try using greenery and bits and pieces from the garden), invoice books with carbon paper for orders, raffle books, material, photos. Egg cartons, empty plastic containers with labels, boxes, cartons, green bags, brown bags, money, junk mail from supermarkets, cash registers, large empty boxes, baskets, purses, bags, wallets, hats, shopping carts if you have them (boxes work just as well for filling! 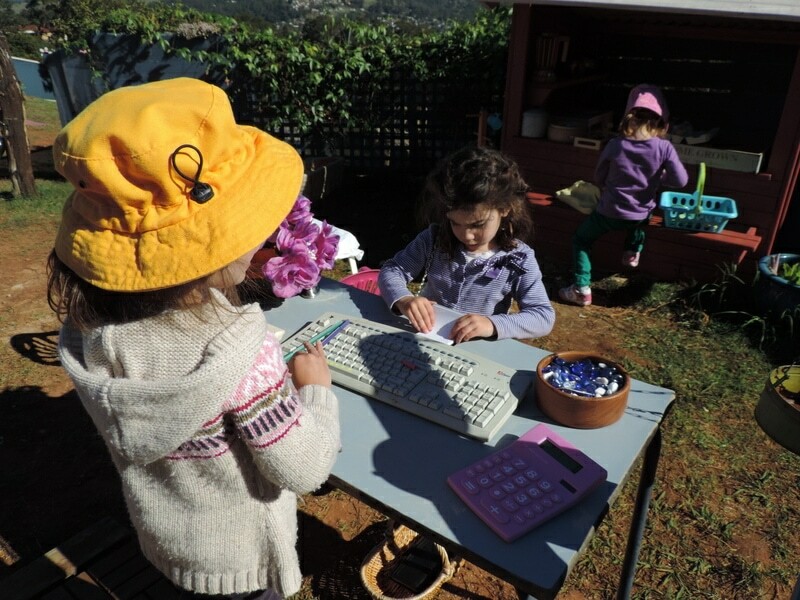 ), phones, keyboards, aprons, promotional material from local supermarkets, calculators. Artificial and real flowers, baskets, boxes, colourful tissue paper for wrapping, scissors, florist foam blocks (or use Plasticine), ribbon scraps, plastic pots, cash register, gloves, apron, vases, jugs, photos of different flower arrangements, different sized pots and saucers, watering cans, old hose pieces, boxes or bikes to use as delivery vehicles, brown paper bags, stickers, notepads and pens, calculator, money, colourful gems or pebbles for decorations, balloons, small stuffed toys. 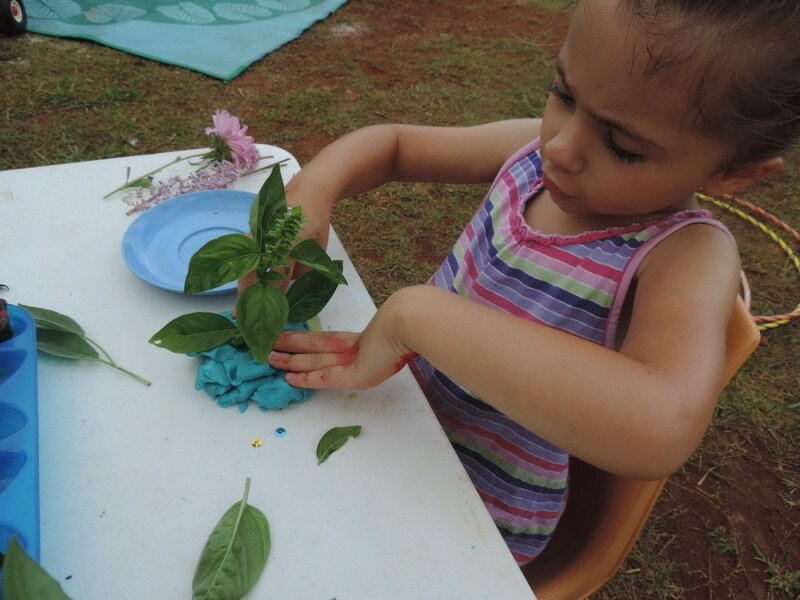 Use playdough or clay like we did here to have fun with flower arranging. Old curling irons, hair dryers, straighteners – make sure to cut cords off. Garbage bags cut into cape shapes or use paint aprons, spray bottles, hair clips, bands, brushes, combs, velcro rollers, wigs, handtowels, headbands, posters of haircuts and styles from your local hairdresser, handheld mirrors, spray bottles with water, empty shampoo and conditioner pump bottles, old hairstyle books (ask your hairdresser to help! ), ribbons, hair slide combs, doll hair heads (or if your lucky you can sometimes find the practice hairdresser heads on ebay). 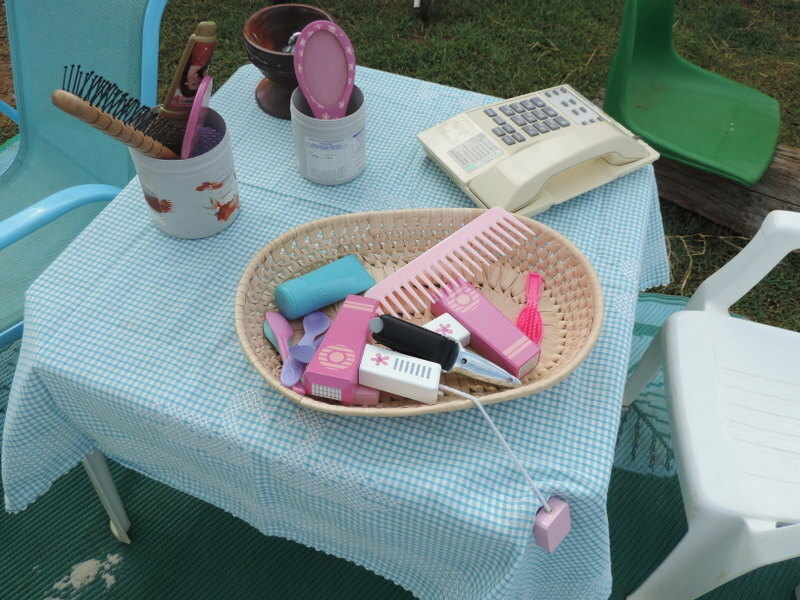 Cash register, money, old diaries for appointments, pens, phones, magazines for waiting room, paper bags for product purchases, cups for coffee and tea, brooms and dustpans. For added beauty section – Collection of empty face cream and other body care jars, pots and bottles, spa music to play, led candles, towels, makeup brushes and sponges, pretty combs and clips. 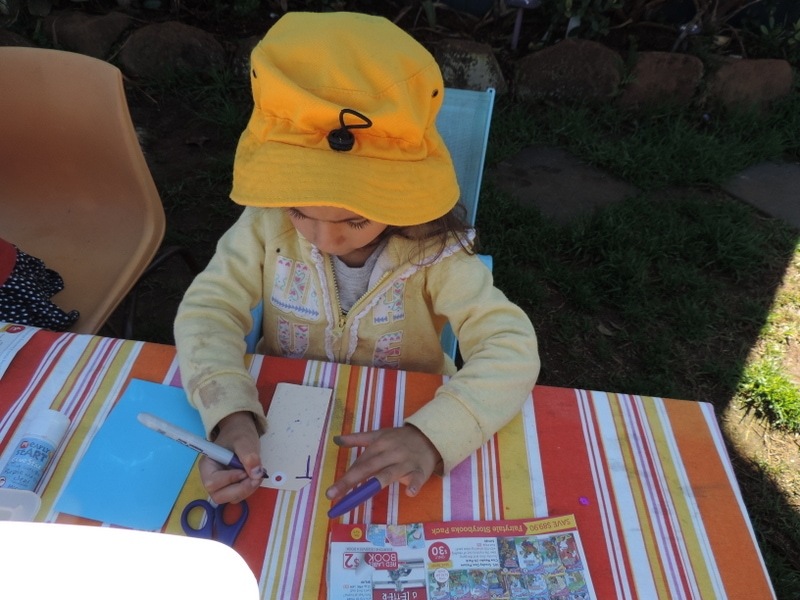 Envelopes, old postcards, stickers or old stamps, paste on sponges for stamps, different sized boxes to use for packages, pens and textas for writing addresses, bubblewrap, tape, old mailer bags or tubes, photos of the local post office and mail centre, DIY mailbox made from a box or reuse an old one like we did in the outdoor play space, rubber stamp and ink pad, small scales for weighing parcels, phones, cash register, post office sign, calico or hessian bags for ‘collecting’ the mail to deliver. Old bits and pieces of hose or pipe, whistles, small stepstools and ladders, boots, jackets, phones, walkie talkies, fire hats/hard hats, yellow raincoats with some reflective tape added, ‘oxygen tanks’ (2 softdrink bottles taped together like a backpack ), fire safety posters, photos and stickers from the local station, gloves, safety goggles. 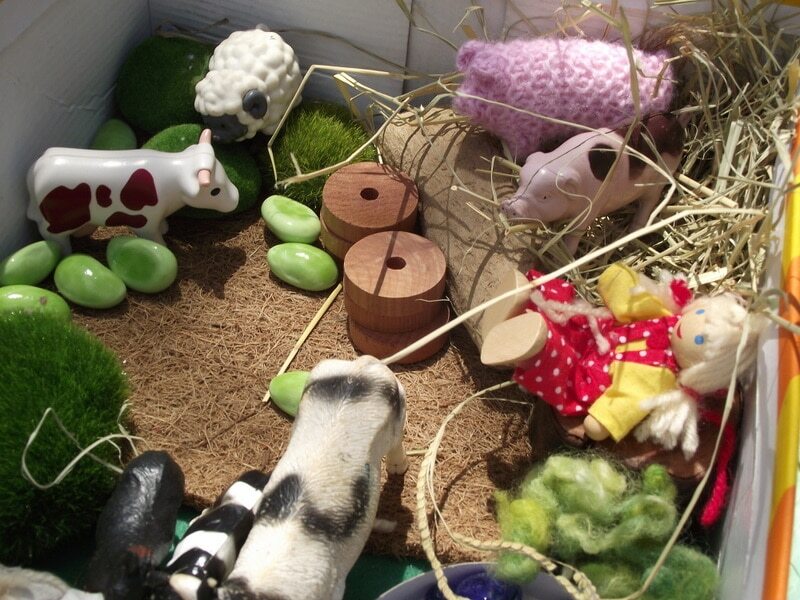 Add a few objects from a selection of the community role boxes and encourage children to then set up their own community and roles using the props. 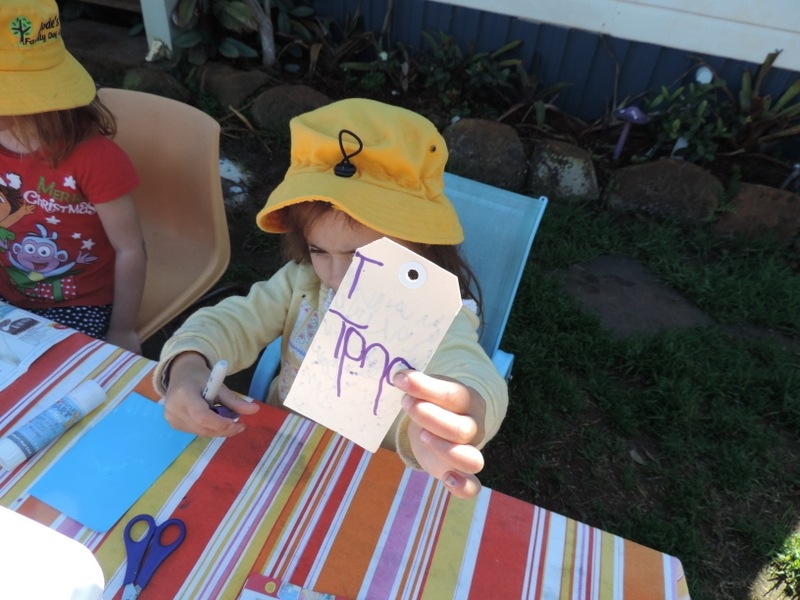 Find out how we created this simple coffee shop invitation to play outside. Cash register with scanner handle, trays, books, old DVD and CD covers, rubber stamp and ink pad, small envelopes and index cards, pencils, paper, stickers, tape, book covering plastic, baskets and library bags, newspapers, magazines, computer keyboard, monitors, posters from local library, old library cards. 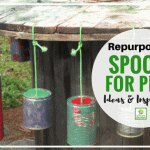 Empty and clean paint cans (the sample pots are a good size for prop boxes), aprons or white shirts, overalls etc from op shop, paint trays, paint rollers, colour sample chips and cards, paint brushes of different sizes, rags or scrap material, large sheets for dropcloths, stepstool, if playing outside add some buckets of bright water colours . A collection of different sized shoes for adults and children from the op shop or ask parents to share items no longer being used, shoeboxes (or similar sized boxes),tissue paper, cash register, money, pictures or photos of shoes to put on the walls, shoe horns, measuring tape for feet, notepads, empty shoe polish and cleaner bottles, shoe polish rags and brushes, shoe laces, mirrors. 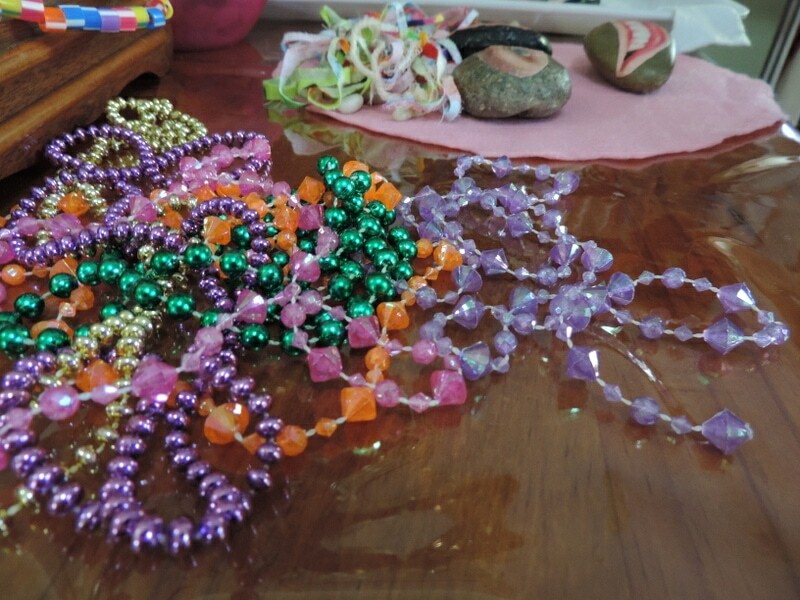 A collection of real but old jewelry – I like to find interesting bits and pieces at markets and the local op shop – necklaces, bracelets, rings, headpieces, watches, brooches. 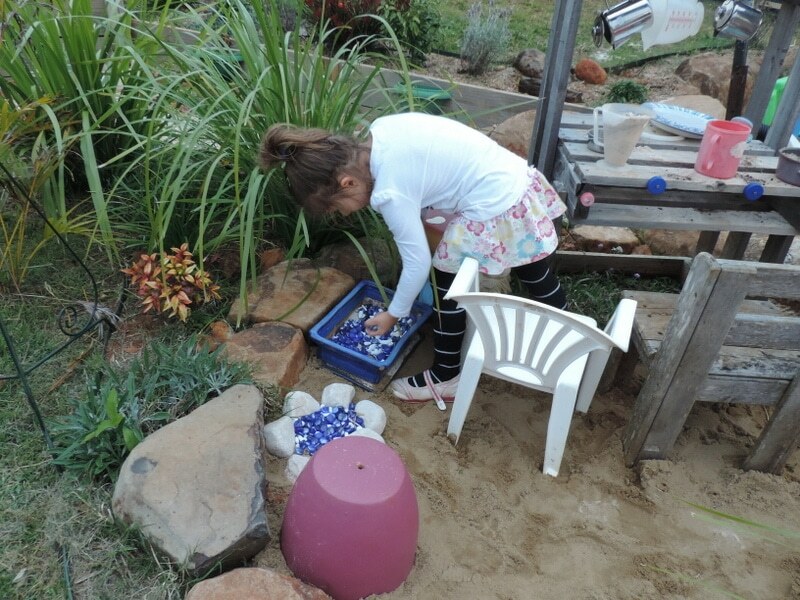 Cash register, paper bags or old jewelry/watch boxes for the purchases, small mirrors, velvet material for laying out jewelry, posters (ask your local jeweler for old ones or old promo booklets), different shaped containers to use use as jewelry boxes – children always love those little treasure type chests if you can find some. Toolboxes, play or real tools, bits and pieces of wood, rubber, metal, tyre pumps, junk mail from local auto shops, funnels, rags, clipboards, pens, cash register, ink stamp, petrol can or container (only new though), washed auto parts & steering wheels (visit the local wrecker or mechanic shop), old car keys, old shirts/pants/overalls, hose pieces, buckets, sponges, measuring tape, ruler, safety goggles, photos of mechanics at work (make sure both genders! 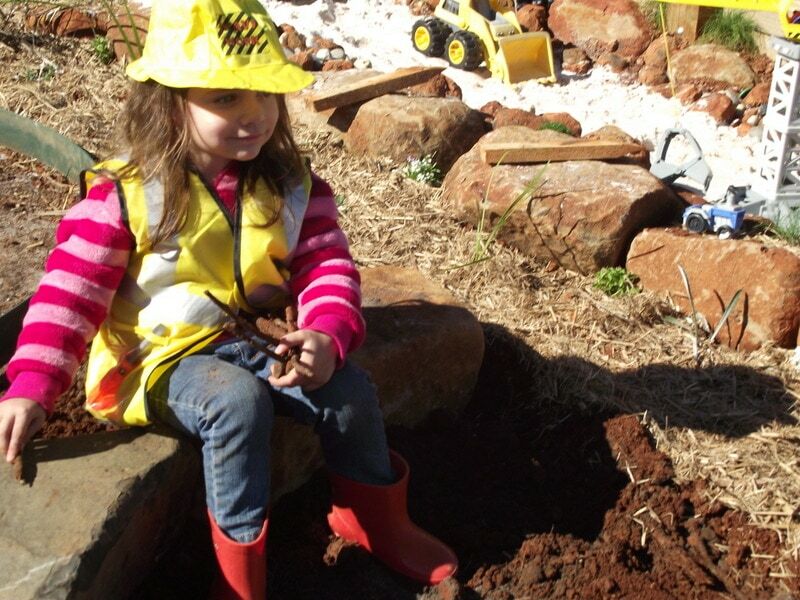 )nuts and bolts, washers, gloves, rope, coated wire, bench vice, thick pencils, old tyres. Aprons, oven mitts, cake tins, muffin tins, biscuit trays, mixing bowls, wooden spoons, handheld beaters, old electric mixers with cords cut off, measuring cups, jugs and spoons, laminated photos of real food, chef’s hats, teatowels, cooling racks, playdough, empty food containers for storing the baked goods, paper doilies, patty papers, spatulas, clean, empty milk cartons, rolling pins, small boxes for cakes, brown paper bags, cash register, biscuit cutters, sifter, recipe books or cards, cake decorator tools. Watering cans, flower pots, seedling trays, hats, gardening tools, old gardening magazines, cash register, green bags and paper bags, vases, artificial and real plants, greenery, flowers, phones, seed packets, garden gloves, bulbs, baskets, aprons, old hose pieces, potting mix, old seedling signs/sticks (that tell you the name of the plant), bucket of water, mulch, bird feeders, boots, photos or posters of local native plants in your area. 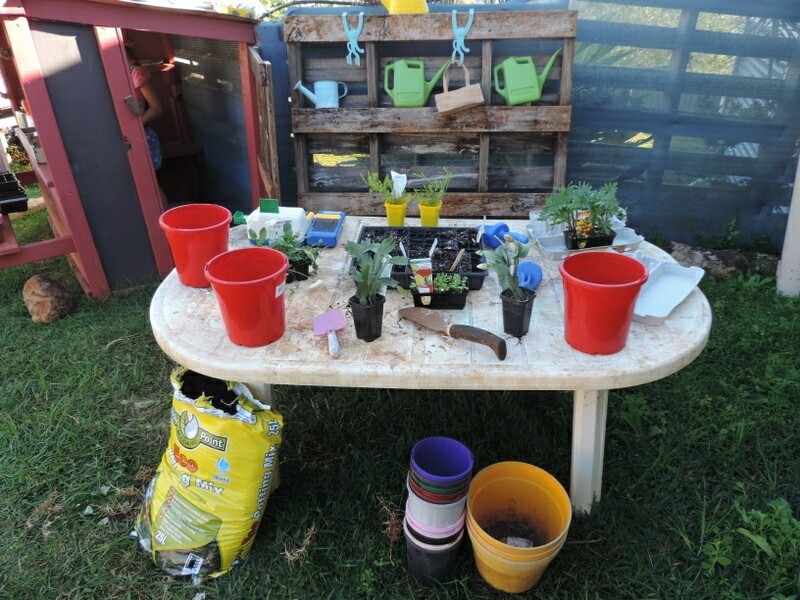 Read more about how we set up our garden shop here. Old suitcases, backpacks and bags, travel brochures and magazines, ticket books (I use the raffle ticket books), different hats and dress ups to suit various transport occupations, posters of planes, cruise ships, cars, buses, trains, notepad, hole punch, rubber stamps, sticky stamps, old clothes and other real items to pack into suitcases, phones, computer keyboards, monitors. 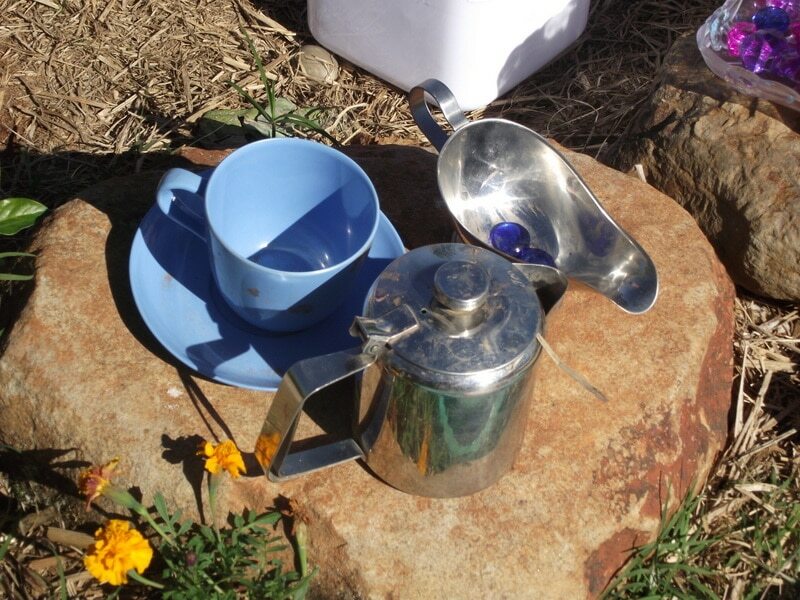 Sleeping bags, old maps, small torches, camping lanterns, picnic set, old camping equipment (ask for parent help collecting! 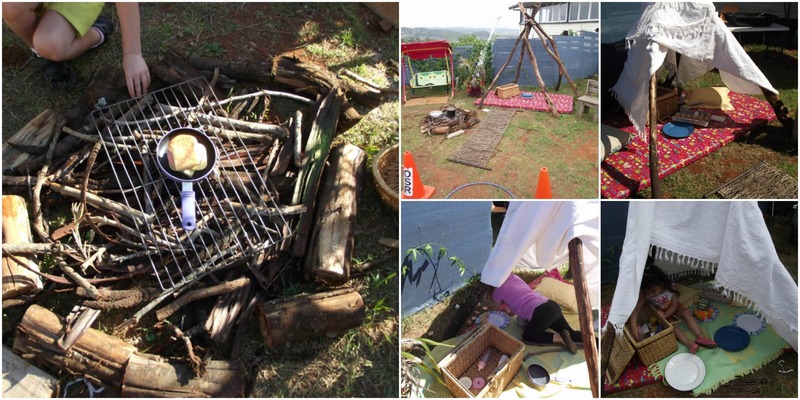 ), camp chairs, esky’s, paper plates, camp plates and mugs, blankets, sticks, sheets or material for making tents and shelters, drink bottles, pillows, binoculars, fishing nets, pretend or real campfire using sticks and rocks, cooking pots and pans, backpacks. 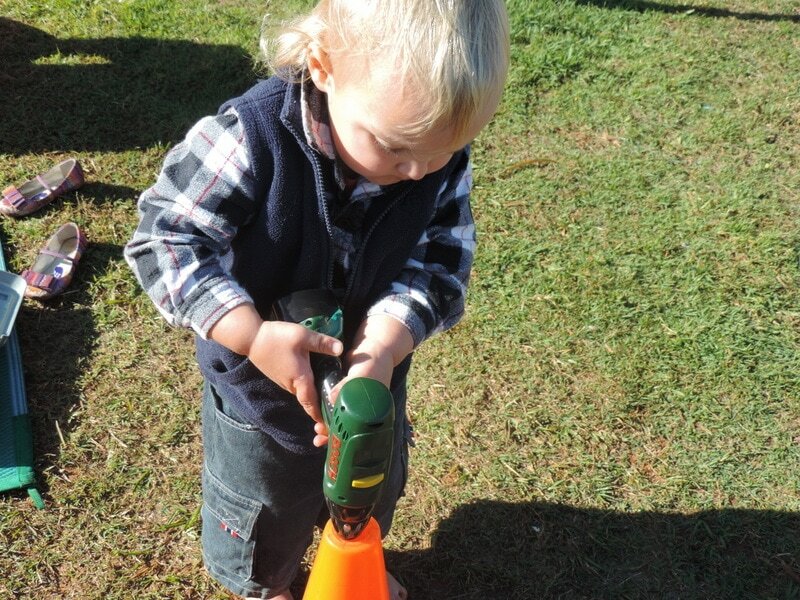 Rubbish and recycle trucks, different sized boxes, baskets, green bags, small wheelie bins (add a piece of coloured card to top or side of bins to reflect your community’s waste system), clean boxes, bottles, cans, containers, clothes, paper, cardboard from the recycle bin for sorting, labels for different boxes and bins (e.g paper, glass, tins, organic, rubbish), photos or pictures of eco friendly actions, activities, centres and materials, cash register, scales, gloves, notepads, pens, real household items for sorting (landfill or can we upcycle? 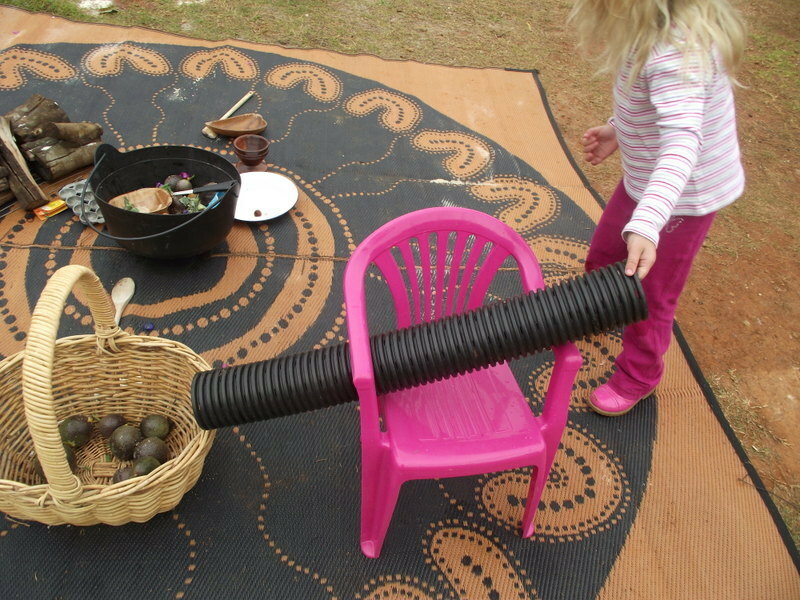 ), coloured stickers, lots of loose parts for sorting! 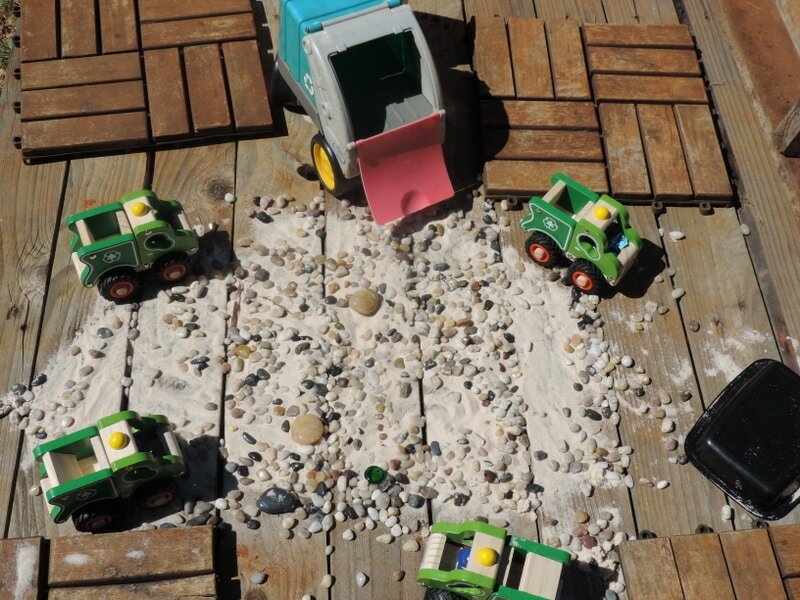 Why not turn your sandpit area into a seaside for the week! Empty sunscreen pump bottles and tubes, beach towels, goggles, esky’s, umbrellas, buckets and spades, sun shade tent,boogie boards, paddle boards, floaties, shells, seaweed, pebbles, cuttlefish, sand, water, beach balls, hats, sun safety clothes and posters, beach bags, photos of the local beach areas, ocean sounds recording or fun beach themed pop music, sunglasses, books with beach themes, drink bottles, scoops, plastic containers and old cooking equipment, watering cans, juice and milk bottles with holes punched in the lids. 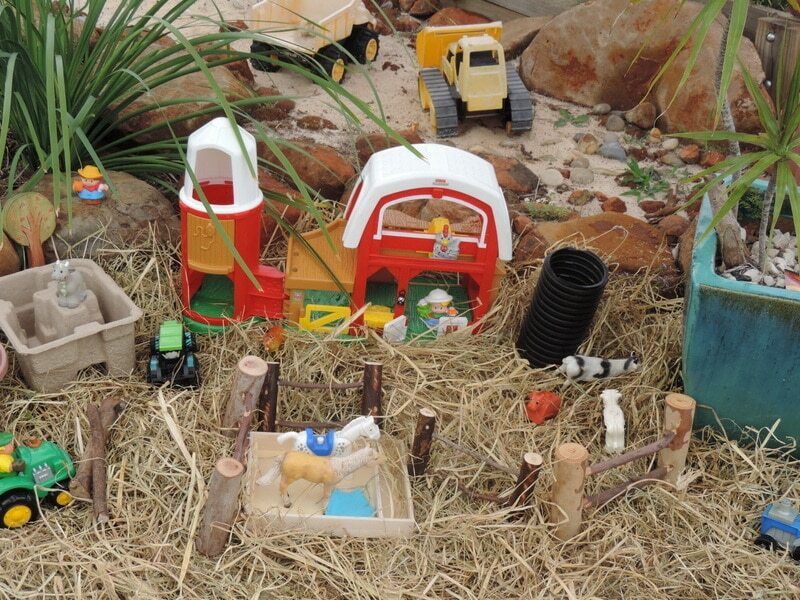 Buckets, hay bales, empty hessian bags, animal figurines and soft toys, hats, animal brushes and feed, egg cartons, boxes, pictures of different types of farms and the animals that live there (e.g dairy farm, cattle farm, chicken farm, oyster farm), trucks, sticks for fences, material for building barns, wooden crates, baskets, metal signs, jugs, real fruits and vegetables to explore and use, milk cartons, digging patch, old fences or gates (fantastic props for outdoor building! 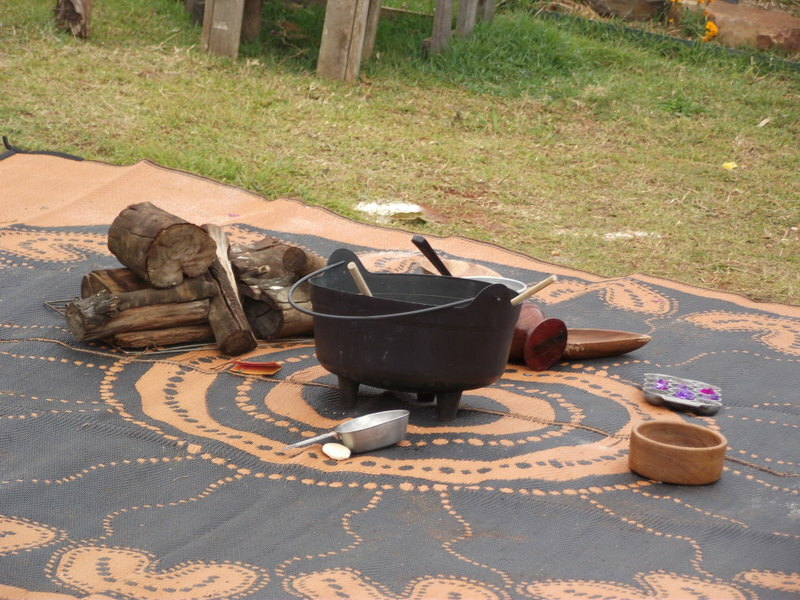 ), hessian squares, phones, writing pads, pens, boots. Reflective vests, backpacks, rope, maps,belts, torches, walkie talkies, bandages/first aid kit, cooler bags, camping plates and cups, drink bottle, books with information about national parks and photos of rangers doing their work, boots, long pants and long sleeve shirts, small tent or camp bed (or just sheets and pegs to make their own! 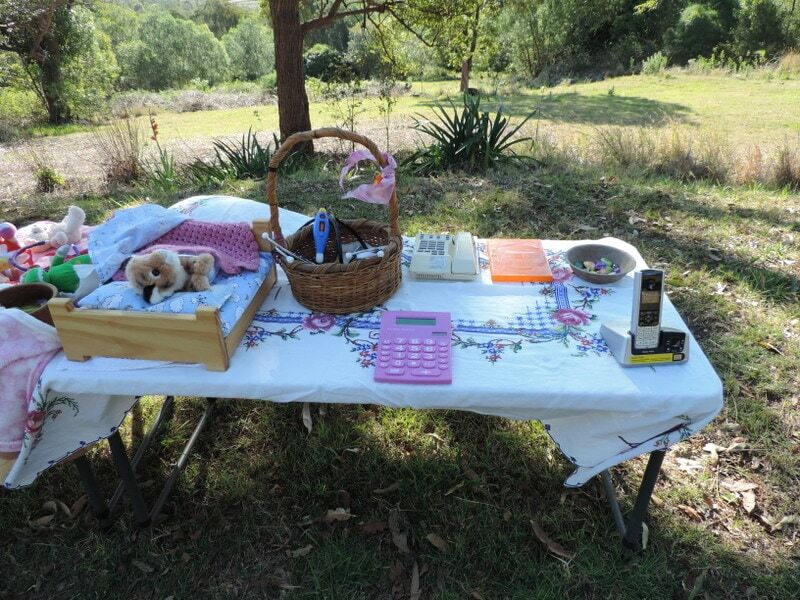 ), binoculars, compass, notepad, phone, pens, mosquito netting, cages, cleaning materials, selection of local plants and flowers, magnifying glasses, information booklets and posters from local information centres and national parks about how to be careful in the bush and look after the animals and flora in the local area. Blocks, plastic containers, lids, boxes, tape, staplers, twine , rope, rulers, measuring tapes, photos of architectural landmarks, blu tack or plasticine (for joining small things together), pencils, large sheets of blank paper, old building plans, boots, tools, toolboxes, cardboard rolls, material, pegs, sheets, paper clips, bricks, PVC pipes, irrigation tubing, wheelbarrows, large sheets corrugated cardboard, tyres, clipboards, sticks and branches, palm fronds, rulers, hardhats, safety googles, safety vests, trucks, gravel. 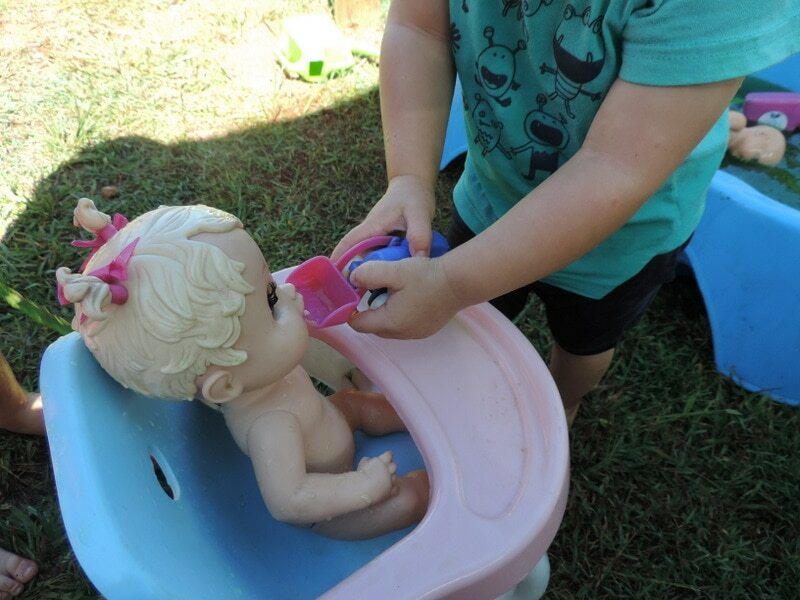 Dolls of different skin tones, cultures and genders, baby animal toys, empty baby food chairs, real baby bottles, spoons, plates and sippy cups, rattles, empty babycare jars and containers, bibs, small washcloths, baby towels (or just use hand towels), baby brushes and combs, play nappies or make your own with by cutting up old nappies then adding a little velcro so they join together, water trays or tubs for bathing, dishwashing liquid to create bubbles in the bath, sponges, doll clothes, doll blankets, beds and highchairs, sand/dirt and water to mix up some food, pebbles or glass gems to use for food, empty pump shampoo bottles, cakes of soap in the water tub. Pet blankets, beds, cardboard boxes with blankets, food bowls, collars, leashes, soft animals to use as pets (or bring some real ones in for the morning to practice looking after! ), grooming tools, empty pet food containers, pet toys, spray bottles with water, clips for the hair, empty shampoo bottles, pictures of the children’s pets or animals they love. Party hats, plates, cups, serviettes, streamers, pinata, balloons, wrapping paper, ribbon, bows, boxes of different shapes to wrap as presents, special party tablecloth, tape, scissors, old gift bags and boxes, pin the tail on the donkey poster, tissue paper, pretend or real birthday cakes, party bags to fill with favourite toys. 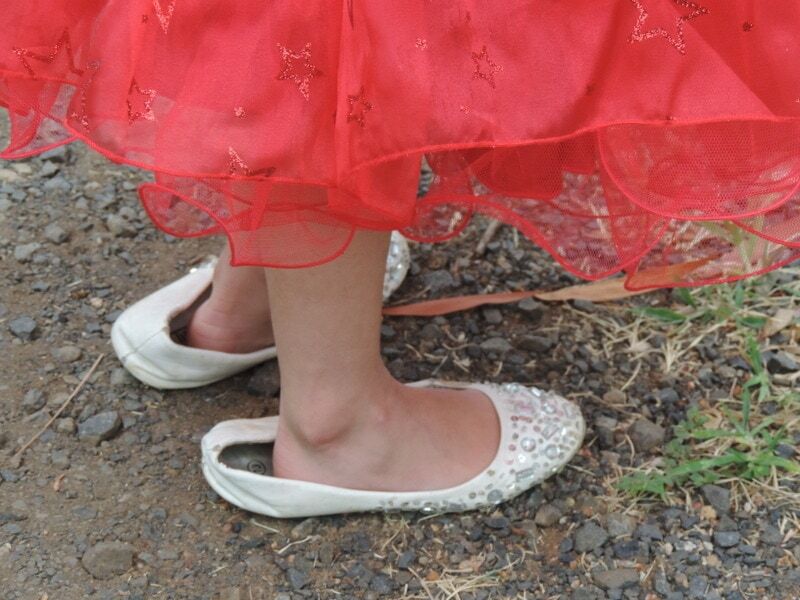 Pretty party shoes (check the op shop and try to get a few different sizes – adult and child), lace curtains to use as veils, real or artificial flower posies, bridal magazines, glittery card and pens write out their invitations, old cameras, phones, wedding decorations, pictures of different types of weddings, rings, necklaces and other jewelry, bow ties, ribbons, ‘fancy’ dress up clothes, vases, tablecloths, music, mirrors, brushes, empty make up cases, cups, plates and cutlery. 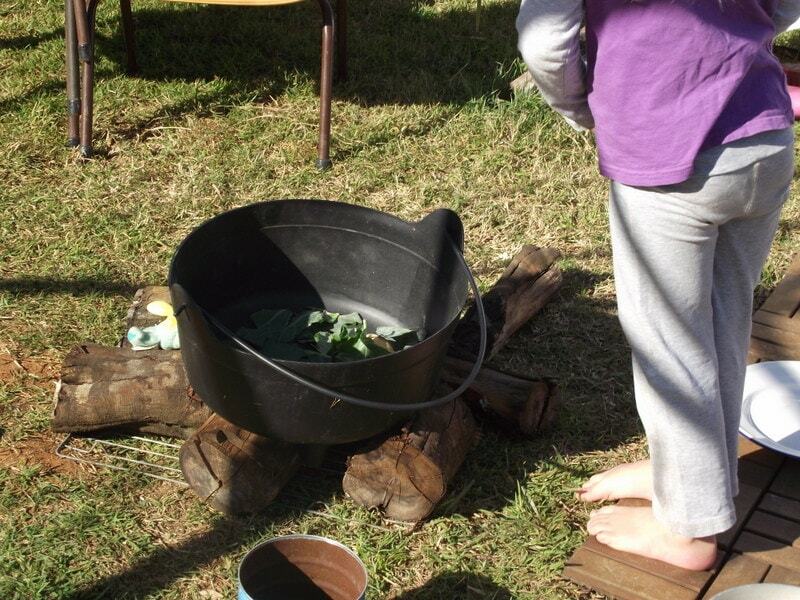 Lots of natural materials like leaves, pinecones, pebbles etc to use as food, picnic blanket, picnic basket with cups, plates and cutlery, books, music, empty food boxes, tomato sauce squeeze bottles, esky’s, drink bottles, hats, empty sunscreen bottles, balls, baskets, serviettes, tongs, spatula, apron, tablecloth, plastic food storage containers, foil trays, salad bowls with scoops and forks. This post has been HUGE so well done you for reading all the way to the end of the page! 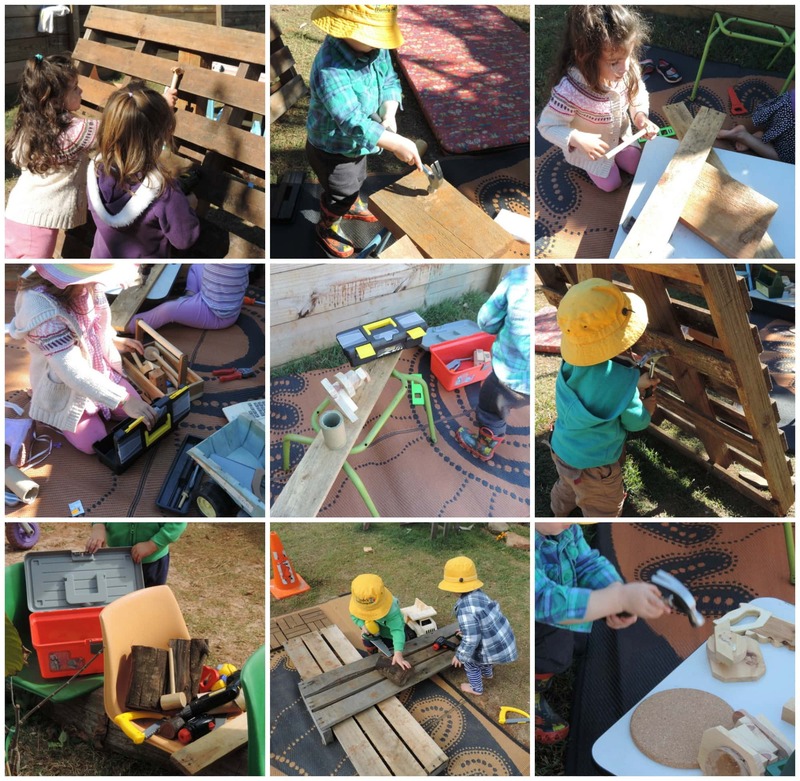 I hope you are taking away a few new ideas and a little inspiration to help reignite your interest in providing opportunities for children to explore and engage with various forms of dramatic play and all of the wonderful learning outcomes it brings with it! 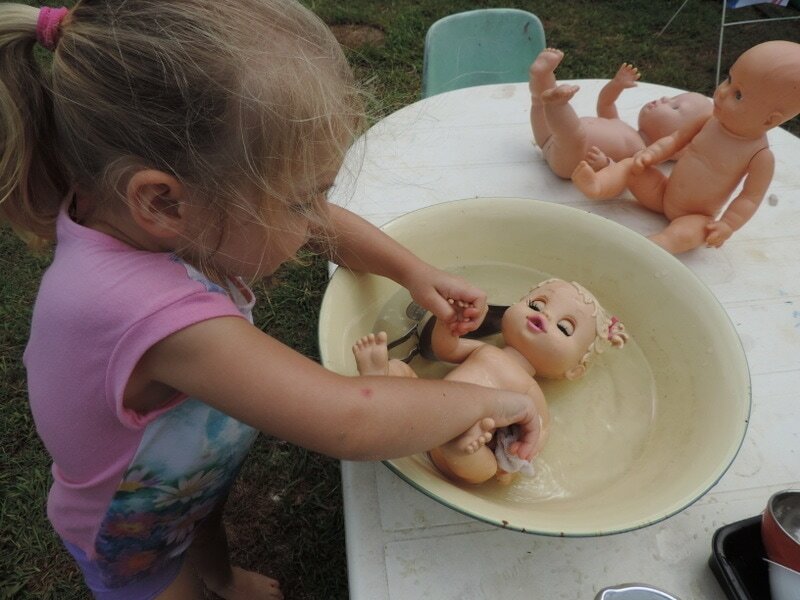 What items do your children love to use in their dramatic play? Pin the image below to Pinterest to refer back to later! Your place is awesome and I want to go there and play!!!!!!!!!! 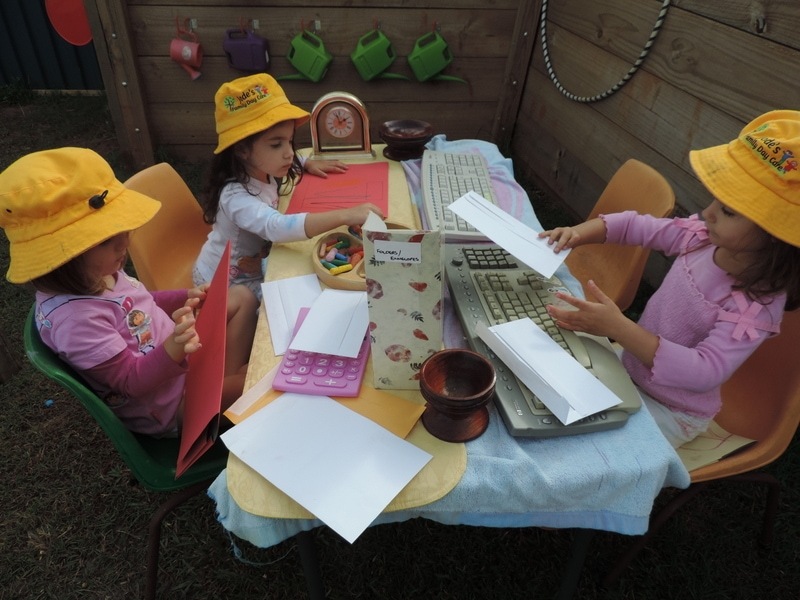 I have a family child care here in Okinawa Japan, military base. I need permission from the authorities to do something like that of your outdoor environment, so I am like super jealous that you could do so many things and also have a husband that supports you!! I do all the building and everything. I am just in awe on how creative you both are! Thank you for what you do for the children and for being such an inspiration to many of us, providers!! May God bless your family always!!!! 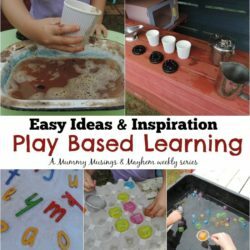 This is a wonderful reminder on how to get back to basics for dramatic play and that you don’t need a lot of expensive or elaborate resources. Thanks, Jodie!